MI Friswell & JE Mottershead, Finite Element Model Updating in Structural Dynamics, Kluwer Academic Publishers, 1995, 286 pp., ISBN 0-7923-3431-0. MI Friswell, JET Penny, SD Garvey & AW Lees, Dynamics of Rotating Machines, Cambridge University Press, 2010, 512 pp., ISBN 9780521850162. MI Friswell & JE Mottershead (Eds. ), Identification in Engineering Systems, Proceedings of the Conference held at Swansea, March 1996, 926 pp., ISBN: 0 860 76136 3. JE Mottershead & MI Friswell (Guest Eds. ), Model Updating, Special Issue of Mechanical Systems and Signal Processing, 12(1), January 1998. Paper availability and download. MI Friswell & JE Mottershead (Guest Eds. ), Identification in Engineering Systems, Special Issue of the Journal of Vibration and Control, 4(1), January 1998. MI Friswell, JE Mottershead & AW Lees (Eds. ), Identification in Engineering Systems: Proceedings of the Second International Conference held at Swansea, March 1999, 737 pp., ISBN: 0 86076 158 4. MI Friswell, JE Mottershead & AW Lees (Guest Eds. ), Identification in Engineering Systems, Special Issues of Inverse Problems in Engineering, 8(1&2), January & March 2000. JE Mottershead & MI Friswell (Guest Eds. ), Model Updating - EuroMech, Special Issue of Mechanical Systems and Signal Processing, 15(1), January 2001. DJ Wagg, IP Bond, PM Weaver & MI Friswell (Eds. ), Adaptive Structures: Engineering Applications, John Wiley & Sons, 2007, ISBN 978-0-470-05697-4. AW Lees & MI Friswell, A New Approach to the Balancing of Rotating Machines. Noise and Vibration Worldwide, 29(10), November 1998, 17-21. MI Friswell, Review of Models and Reality in Systems Dynamics, by Hans Gunther Natke, Journal of Sound and Vibration, 238(5), December 2000, 907. S Edwards, AW Lees & MI Friswell, Novel Cost-Effective Balancing of Rotating Machines. Noise and Vibration Worldwide, 32(6), June 2001, 16-21. MI Friswell & JE Mottershead, Finite Element Model Updating by using Physical Vibration Measurements, in Shock and Vibration Computer Programs: Reviews and Summaries, WD Pilkey & B Pilkey (Editors), The Shock and Vibration Information Analysis Center, 1995, SVM-13, 667-716. MI Friswell & DJ Inman, Vibration Control using Smart Structures, in Smart Technologies, K Worden, WA Bullough & J Haywood (Editors), World Scientific Publishing Company, May 2003, ISBN 981-02-4776-1. G Litak & MI Friswell, Nonlinear Vibration in Gear Systems, in Nonlinear Dynamics of Production Systems, G Radons & R Neugebauer (Eds. ), Wiley-VCH, Weinheim, 2004, ISBN 3-527-40430-9, 339-348. G Martinez-Ayuso, MI Friswell, H Haddad Khodaparast, JI Roscow & CR Bowen, Electric Field Distribution in Porous Piezoelectric Materials during Polarization. Acta Materialia. H Jalali, H Haddad Khodaparast, H Madinei & MI Friswell, Stochastic Modelling and Updating of a Joint Contact Interface. Mechanical Systems and Signal Processing. AI Aria, T Rabczuk & MI Friswell, A Finite Element Model for the Thermo-Elastic Analysis of Imperfect Functionally Graded Porous Nanobeams. European Journal of Mechanics / A Solids. G Martinez-Ayuso, MI Friswell, H Haddad Khodaparast & S Adhikari, Experimental Validation of an Impact Off-resonance Energy Harvester. European Physical Journal - Special Topics. SA Fazelzadeh, M Tashakorian, E Ghavanloo, MI Friswell & MR Amoozgar, Non-conservative Stability Analysis of Columns with Various Loads and Boundary Conditions using Fully Intrinsic Equations. AIAA Journal. MR Amoozgar, AD Shaw, J Zhang & MI Friswell, Composite Rotor Blade Twist Modification in Flight by Using a Moving Mass and Stiffness Tailoring. AIAA Journal. AI Aria & MI Friswell, A Nonlocal Finite Element Model for Buckling and Vibration of Functionally Graded Nanobeams. Composites Part B: Engineering, 166, 1 June 2019, 233-246. MR Amoozgar, AD Shaw, J Zhang & MI Friswell, The Effect of a Movable Mass on the Aeroelastic Stability of Composite Hingeless Rotor Blades in Hover. Journal of Fluids and Structures, 87, May 2019, 124-136. AD Shaw, AR Champneys & MI Friswell, Normal Form Analysis of Bouncing Cycles in Isotropic Rotor Stator Contact Problems. International Journal of Mechanical Sciences, 155, May 2019, 83-97. AI Aria & MI Friswell, Computational Hygro-thermal Vibration and Buckling Analysis of Functionally Graded Sandwich Microbeams. Composites Part B: Engineering, 165, 15 May 2019, 785-797. H Jalali, H Haddad Khodaparast & MI Friswell, The Effect of Preload and Surface Roughness Quality on Linear Joint Model Parameters. Journal of Sound and Vibration, 447, 12 May 2019, 186-204. A Tatar, C Schwingshackl & MI Friswell, Dynamic Behaviour of Three-Dimensional Planetary Geared Rotor Systems. Mechanism and Machine Theory, 134, April 2019, 39-56. A Magrini, E Benini, R Ponza, C Wang, H Haddad Khodaparast, MI Friswell, V Landersheim, D Laveuve & C Contell Asins, Comparison of Constrained Parameterisation Strategies for Aerodynamic Optimisation of Morphing Leading Edge Airfoil. Aerospace, 6(3), March 2019, paper 31. AI Aria, MI Friswell & T Rabczuk, Thermal Vibration Analysis of Cracked Nanobeams Embedded in an Elastic Matrix Using Finite Element Analysis. Composite Structures, 212, 15 March 2019, 118-128. N Jamia, MI Friswell, S El-Borgi & P Rajendran, Modelling and Experimental Validation of Active and Passive Eddy Current Sensors for Blade Tip Timing. Sensors & Actuators: A. Physical, 285, January 2019, 98-110. J Zhang, AD Shaw, MR Amoozgar, MI Friswell & BKS Woods, Bidirectional Torsional Negative Stiffness Mechanism for Energy Balancing Systems. Mechanism and Machine Theory, 131, January 2019, 261-277. MF Lumentut & MI Friswell, A Smart Pipe Energy Harvester Excited by Fluid Flow and Base Excitation. Acta Mechanica, 229(11), November 2018, 4431-4458. P Rajendran, N Jamia, S El-Borgi & MI Friswell, Wavelet Transform based Damage Identification in Bladed Disks and Rotating Blades. Shock and Vibration, 2018, Article ID 3027980, 16 pages. RM Ajaj & MI Friswell, Aeroelasticity of Compliant Span Morphing Wings. Smart Materials and Structures, 27(10), October 2018, paper 105052. N Aldoumani, H Haddad Khodaparast, C Giannetti, Z Abdallah, I Cameron, MI Friswell & J Sienz, A Robust Design of an Innovative Shaped Rebar System Using a Novel Uncertainty Model. Structural and Multidisciplinary Optimization, 58(4), October 2018, 1351-1365. Z Wu, H Li & MI Friswell, Advanced Nonlinear Dynamic Modelling of Bi-stable Composite Plates. Composite Structures, 201, October 2018, 582-596. HM Ouakad, S El-Borgi, SM Mousavi & MI Friswell, Static and Dynamic Response of CNT Nanobeam using Nonlocal Strain and Velocity Gradient Theory. Applied Mathematical Modeling, 62, October 2018, 207-222. C Wang, H Haddad Khodaparast, MI Friswell, AD Shaw, Y Xia & P Walters, Development of a Morphing Wingtip Based on Compliant Structures. Journal of Intelligent Material Systems and Structures, 29(16), September 2018, 3293-3304. E Chipato, AD Shaw & MI Friswell, Effect of Gravity-Induced Asymmetry on the Nonlinear Vibration of an Overhung Rotor. Communications in Nonlinear Science and Numerical Simulation, 62, September 2018, 78-89. G Martínez Ayuso, H Haddad Khodaparast, Y Zhang, CR Bowen, MI Friswell, AD Shaw & H Madinei, Model Validation of a Porous Piezoelectric Energy Harvester using Vibration Test Data. Vibration, 1(1), August 2018, 123-137. A Kundu, HG Matthies & MI Friswell, Probabilistic Optimization of Engineering System with Prescribed Target Design in a Reduced Parameter Space. Computer Methods in Applied Mechanics and Engineering, 337, August 2018, 281-304. LM Griffiths, AL Gaitonde, DP Jones & MI Friswell, Updating of Aerodynamic Reduced Order Models Generated using Computational Fluid Dynamics. Journal of Aerospace Engineering, IMechE Proceedings Part G, 232(9), July 2018, 1739-1763. H Madinei, H Haddad Khodaparast, MI Friswell & S Adhikari, Minimising the Effects of Manufacturing Uncertainties in MEMS Energy Harvesters. Energy, 149, April 2018, 990-999. N Jamia, P Rajendran, S El-Borgi & MI Friswell, Mistuning Identification in Bladed Disk using Wavelet Packet Transform. Acta Mechanica, 229(3), March 2018, 1275-1295. C Wang, H Haddad Khodaparast, MI Friswell & AD Shaw, Compliant Structures based on Stiffness Asymmetry. The Aeronautical Journal, 122(1249), March 2018, 442-461. S El-Borgi, P Rajendran, MI Friswell, M Trabelssi & JN Reddy, Torsional Vibration of Size-dependent Viscoelastic Rods using Nonlocal Strain and Velocity Gradient Theory. Composite Structures, 186, 15 February 2018, 274-292. X Wang, TL Hill, SA Neild, AD Shaw, H Haddad Khodaparast & MI Friswell, Model Updating Strategy for Structures with Localised Nonlinearities using Frequency Response Measurements. Mechanical Systems and Signal Processing, 100, 1 February 2018, 940-961. N Jamia, MI Friswell, S El-Borgi & R Fernandes, Simulating Eddy Current Sensor Outputs for Blade Tip Timing. Advances in Mechanical Engineering, 10(1), January 2018, 12pp. X Wang, H Haddad Khodaparast, AD Shaw, MI Friswell & G Zheng, Localization of Local Nonlinearities in Structural Dynamics using Spatially Incomplete Measured Data. Mechanical Systems and Signal Processing, 99, 15 January 2018, 364-383. H Haddad Khodaparast, Y Govers, I Dayyani, S Adhikari, M Link, MI Friswell, JE Mottershead & J Sienz, Fuzzy Finite Element Model Updating of the DLR AIRMOD Test Structure. Applied Mathematical Modelling, 52, December 2017, 512-526. D He, X Wang, MI Friswell & J Lin, Identification of Modal Parameters from Noisy Transient Response Signals. Structural Control and Health Monitoring, 24(11), November 2017, e2019. P Mahmoodi, S Aristodemou, RS Ransing, NJ Owen & MI Friswell, Prosthetic Foot Design Optimisation Based on Roll-Over Shape and Ground Reaction Force Characteristics. Journal of Mechanical Engineering Science, 231(17), September 2017, 3093-3103. E Jacquelin, O Dessombz, J-J Sinou, S Adhikari & MI Friswell, Polynomial Chaos based on Extended Padé Expansion in Structural Dynamics. International Journal for Numerical Methods in Engineering, 111(12), 21 September 2017, 1170-1191. K Vijayan, N Vlajic & MI Friswell, Drillstring-Borehole Interaction: Backward Whirl Instabilities and Axial Loading. Meccanica, 52(11-12), September 2017, 2945-2957. S Faroughi, SMH Goushegir, H Haddad Khodaparast & MI Friswell, Nonlocal Elasticity in Plates using Novel Trial Functions. International Journal of Mechanical Sciences, 130, September 2017, 221-233. HY Dong, QL Hu, MI Friswell & GF Ma, Dual Quaternion Based Fault-tolerant Control for Spacecraft Tracking with Finite-time Convergence. IEEE Transactions on Control Systems Technology, 25(4), July 2017, 1231-1242. R Castro-Triguero, E Garcia-Macias, EI Saavedra Flores, MI Friswell & R Gallego, Multi-Scale Model Updating of a Timber Footbridge using Experimental Vibration Data. Engineering Computations, 34(3), 2017, 754-780. SAM Lajimi & MI Friswell, Energy Harvesting from a Non-linear Standing Beam-Mass System: Two- versus One-Mode Approximations. Journal of Intelligent Material Systems and Structures, 28(8), May 2017, 1010-1022. I Boulkaibet, L Mthembu, T Marwala, MI Friswell & S Adhikari, Finite Element Model Updating using Hamiltonian Monte Carlo Techniques. Inverse Problems in Science & Engineering, 25(7), 2017, 1042-1070. G Martínez Ayuso, MI Friswell, S Adhikari, H Haddad Khodaparast & H Berger, Homogenization of Porous Piezoelectric Material. International Journal of Solids & Structures, 113-114, May 2017, 218-229. C Wang, H Haddad Khodaparast, MI Friswell & AD Shaw, An Equivalent Model of Corrugated Panels with Axial and Bending Coupling. Computers & Structures, 183, April 2017, 61-72. H Haddad Khodaparast, H Madinei, MI Friswell, S Adhikari, S Coggon & JE Cooper, An Extended Harmonic Balance Method based on Incremental Nonlinear Control Parameters. Mechanical Systems and Signal Processing, 85, February 2017, 716-729. I Dayyani & MI Friswell, Multi-Objective Optimization for the Geometry of Trapezoidal Corrugated Morphing Skins. Structural and Multidisciplinary Optimization, 55(1), January 2017, 331-345. S Faroughi, HH Khodaparast, MI Friswell & SH Hosseini, An SMA Rod Element based on the Co-rotational Formulation for Nonlinear Static Analysis of Tensegrity Structures. Journal of Intelligent Material Systems and Structures, 28(1), January 2017, 35-46. LM Griffiths, AL Gaitonde, DP Jones & MI Friswell, A Pulse Size Estimation Method for Reduced Order Models. The Aeronautical Journal, 120(1234), December 2016, 1891-1916. AW Lees & MI Friswell, Active Balancing of Flexible Rotors using Strain Actuators. Journal of Vibration Engineering & Technologies, 4(6), December 2016, 483-489. H Madinei, H Haddad Khodaparast, S Adhikari & MI Friswell, Design of MEMS Piezoelectric Harvesters with Electrostatically Adjustable Natural Frequency. Mechanical Systems and Signal Processing, 81, December 2016, 360-374. AD Shaw, TL Hill, SA Neild & MI Friswell, Periodic Responses of a Structure with 3:1 Internal Resonance. Mechanical Systems and Signal Processing, 81, December 2016, 19-34. R Fernandes, S El-Borgi, K Ahmed, MI Friswell & N Jamia, Static Fracture and Modal Analysis Simulation of a Gas Turbine Compressor Blade and Bladed Disk System. Advanced Modeling and Simulation in Engineering Sciences, 3, paper 30, November 2016. NSF Aldoumani, H Haddad Khodaparast, IM Cameron, MI Friswell, DB Jones, A Chandrashaker & J Sienz, The Robustness of Carbon Fibre Members Bonded to Aluminium Connectors in Aerial Delivery Systems. Cogent Engineering, 3(1), 2016, Article 1225879. C Wang, H Haddad Khodaparast & MI Friswell, Conceptual Study of a Morphing Winglet based on Unsymmetrical Stiffness. Aerospace Science and Technology, 58, November 2016, 546-558. BKS Woods, I Hill & MI Friswell, Ultra-efficient Wound Composite Truss Structures. Composites Part A: Applied Science and Manufacturing, 90, November 2016, 111-124. B Jiang, QL Hu & MI Friswell, Fixed-time Attitude Control for Rigid Spacecraft with Actuator Saturation and Faults. 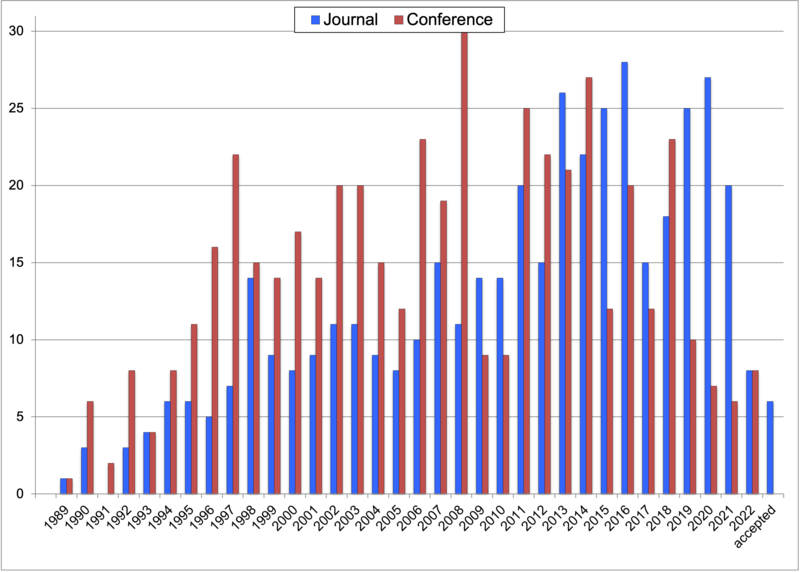 IEEE Transactions on Control Systems Technology, 24(5), September 2016, 1892-1898. E García-Macías, R Castro-Triguero, MI Friswell, S Adhikari & A Sáez-Pérez, Metamodel-based Approach for Stochastic Free Vibration Analysis of Functionally Graded Carbon Nanotube Reinforced Plates. Composite Structures, 152, September 2016, 183-198. B Jiang, QL Hu & MI Friswell, Fixed-time Rendezvous Control of Spacecraft with a Tumbling Target under Loss of Actuator Effectiveness. IEEE Transactions on Aerospace and Electronic Systems, 52(4), August 2016, 1576-1586. AD Shaw, AR Champneys & MI Friswell, Asynchronous Partial Contact Motion due to Internal Resonance in Multiple Degree-of-Freedom Rotordynamics. Royal Society Proceedings Part A, 472(2192), August 2016, paper 20160303. BKS Woods, L Parsons, AB Coles, JHS Fincham & MI Friswell, Morphing Elastically Lofted Transition for Active Camber Control Surfaces. Aerospace Science and Technology, 55, August 2016, 439-448. E Jacquelin, S Adhikari, MI Friswell & J-J Sinou, The Role of Roots of Orthogonal Polynomials in the Dynamic Response of Stochastic Systems. Journal of Engineering Mechanics, 142(8), August 2016, paper 06016004. BKS Woods & MI Friswell, Spiral Pulley Negative Stiffness Mechanism for Passive Energy Balancing. Journal of Intelligent Material Systems and Structures, 27(12), July 2016, 1673-1686. AH Abbasi, SE Khadem, S Bab & MI Friswell, Vibration Control of a Rotor Supported by Journal Bearings and an Asymmetric High-static Low-dynamic Stiffness Suspension. Nonlinear Dynamics, 85(1), July 2016, 525-545. S Adhikari, MI Friswell, G Litak & H Haddad Khodaparast, Design and Analysis of Vibration Energy Harvesters Based on Peak Response Statistics. Smart Materials and Structures, 25(6) June 2016, paper 065009. RM Ajaj, MI Friswell, M Bourchak & W Harasani, Span Morphing using the GNATSpar Wing. Aerospace Science and Technology, 53, June 2016, 38-46. E Jacquelin, MI Friswell, S Adhikari, O Dessombz & J-J Sinou, Polynomial Chaos Expansion with Random and Fuzzy Variables. Mechanical Systems and Signal Processing, 75, June 2016, 41-56. WG Charles, P Mahmoodi, RS Ransing, I Sazonov & MI Friswell, Comparison of Point Foot, Collisional and Smooth Rolling Contact Models on the Bifurcations and Stability of Bipedal Walking. European Journal of Computational Mechanics, 25(3), 2016, 273-293. S Zhang, MI Friswell, DJ Wagg & GJ Tang, Rapid Path Planning for Zero-Propellant Maneuvers. Journal of Aerospace Engineering, 29(3), May 2016, paper 04015078. G Litak, MI Friswell & S Adhikari, Regular and Chaotic Vibration in a Piezoelectric Energy Harvester. Meccanica, 51(5), May 2016, 1017-1025. A Syta, G Litak, MI Friswell & S Adhikari, Multiple Solutions and Corresponding Power Output of a Nonlinear Bistable Piezoelectric Energy Harvester. European Physical Journal B, 89(4), April 2016, paper 99. BKS Woods & MI Friswell, Multi-objective Geometry Optimization of the Fish Bone Active Camber Morphing Airfoil. Journal of Intelligent Material Systems and Structures, 27(6), April 2016, 808-819. E García-Macías, R Castro-Triguero, EI Saavedra Flores, MI Friswell & R Gallego, Static and Free Vibration Analysis of Functionally Graded Carbon Nanotube Reinforced Skew Plates. Composite Structures, 140, April 2016, 473-490. A Chandrashaker, S Adhikari & MI Friswell, Quantification of Vibration Localization in Periodic Structures. Journal of Vibration and Acoustics, 138(2), April 2016, 021002, Paper No: VIB-15-1115. P Mahmoodi, RS Ransing & MI Friswell, A Novel Mathematical Formulation for Predicting Symmetric Passive Bipedal Walking Motion with Unbalanced Masses. Applied Mathematical Modelling, 40(5-6), March 2016, 3895-3906. RM Ajaj, CS Beaverstock & MI Friswell, Morphing Aircraft: The Need for a New Design Philosophy. Aerospace Science and Technology, 49, February 2016, 154-166. CS Beaverstock, MI Friswell, S. Adhikari, TS Richardson & JL du Bois, Automatic Mode Tracking in Flight Mechanics using a Spanning Algorithm. Aerospace Science and Technology, 47, December 2015, 54-67. CS Beaverstock, BKS Woods, JHS Fincham & MI Friswell, Performance Comparison between Optimised Camber and Span for a Morphing Wing. Aerospace, 2(3), 2015, 524-554. I Dayyani, AD Shaw, EI Saavedra Flores & MI Friswell, The Mechanics of Composite Corrugated Structures: A Review with Applications in Morphing Aircraft. Composite Structures, 133, December 2015, 358-380. H Madinei, H Haddad Khodaparast, S Adhikari, MI Friswell & M Fazeli, Adaptively Tuned Piezoelectric MEMS Vibration Energy Harvester using an Electrostatic Device. European Physical Journal - Special Topics, 224(14), November 2015, 2703-2717. E Jacquelin, S Adhikari, J-J Sinou & MI Friswell, Polynomial Chaos Expansion in Structural Dynamics: Accelerating the Convergence of the First Two Statistical Moment Sequences. Journal of Sound and Vibration, 356, November 2015, 144-154. QL Hu, L Li & MI Friswell, Spacecraft Anti-unwinding Attitude Control with Actuator Nonlinearities and a Velocity Limit. Journal of Guidance, Control, and Dynamics, 38(10), October 2015, 2042-2050. I Dayyani, H Haddad Khodaparast, BKS Woods & MI Friswell, The Design of a Coated Composite Corrugated Skin for the Camber Morphing Airfoil. Journal of Intelligent Material Systems and Structures, 26(13), September 2015, 1592-1608. RM Ajaj, EI Saavedra Flores, MI Friswell & FA Diaz de la O, Span Morphing using the Compliant Spar. Journal of Aerospace Engineering, 28(4), July 2015, paper 04014108. JHS Fincham & MI Friswell, Aerodynamic Optimisation of a Camber Morphing Aerofoil. Aerospace Science and Technology, 43, June 2015, 245-255. QL Hu, J Zhang & MI Friswell, Finite-Time Coordinated Attitude Control for Spacecraft Formation Flying under Input Saturation. Journal of Dynamic Systems, Measurement and Control, 137(6), June 2015, paper 061012. MI Friswell, Shape Shifting Target. Mechanical Engineering, 137(5), May 2015, 46-51. MI Friswell, O Bilgen, SF Ali, G Litak & S Adhikari, The Effect of Noise on the Response of a Vertical Cantilever Beam Energy Harvester. Zeitschrift für Angewandte Mathematik und Mechanik, 95(5), May 2015, 433-443. MI Friswell & R Castro-Triguero, Clustering of Sensor Locations using the Effective Independence Method. AIAA Journal, 53(5), May 2015, 1388-1391. BKS Woods & MI Friswell, The Adaptive Aspect Ratio Morphing Wing: Design Concept and Low Fidelity Skin Optimization. Aerospace Science and Technology, 42, April-May 2015, 209-217. MS Murugan, BKS Woods & MI Friswell, Hierarchical Modeling and Optimization of Camber Morphing Airfoil. Aerospace Science and Technology, 42, April-May 2015, 31-38. E Jacquelin, S Adhikari, J-J Sinou & MI Friswell, Polynomial Chaos Expansion and Steady-state Response of a Class of Random Dynamical Systems. Journal of Engineering Mechanics, 141(4), April 2015, paper 04014145. O Bilgen, MI Friswell, SF Ali & G Litak, Broadband Vibration Energy Harvesting from a Vertical Cantilever Piezocomposite Beam with Tip Mass. International Journal of Structural Stability and Dynamics, 15(2), March 2015, paper 1450038. S Faroughi, HH Khodaparast & MI Friswell, Nonlinear Dynamic Analysis of Tensegrity Structures using a Co-rotational Method. International Journal of Non-Linear Mechanics, 69, March 2015, 55-65. AD Shaw, SA Neild & MI Friswell, Relieving the Effect of Static Load Errors in Nonlinear Vibration Isolation Mounts through Stiffness Asymmetries. Journal of Sound and Vibration, 339, 17 March 2015, 84-98. A Kundu, S Adhikari & MI Friswell, Transient Response Analysis of Randomly Parametrized Finite Element Systems based on Approximate Balanced Reduction. Computer Methods in Applied Mechanics and Engineering, 285, 1 March 2015, 542-570. EI Saavedra Flores, RM Ajaj, S Adhikari, I Dayyani, MI Friswell & R Castro-Triguero, Hyperelastic Tension of Graphene. Applied Physics Letters, 106(6), February 2015, paper 061901. I Boulkaibet, L Mthembu, T Marwala, MI Friswell & S Adhikari, Finite Element Model Updating Using the Shadow Hybrid Monte Carlo Technique. Mechanical Systems and Signal Processing, 52-53, February 2015, 115-132. BKS Woods, I Dayyani & MI Friswell, Fluid-Structure Interaction Analysis of the Fish Bone Active Camber Concept. Journal of Aircraft, 52(1), January 2015, 307-319. AD Shaw, I Dayyani & MI Friswell, Optimisation of Composite Corrugated Skins for Buckling in Morphing Aircraft. Composite Structures, 119, January 2015, 227-237. M Borowiec, G Litak, MI Friswell & S Adhikari, Energy Harvesting in a Nonlinear Cantilever Piezoelastic Beam System Excited by Random Vertical Vibrations. International Journal of Structural Stability and Dynamics, 14(8), December 2014, paper 1440018. S Zhang, GJ Tang, MI Friswell & DJ Wagg, Multi-objective Optimization of Zero Propellant Spacecraft Attitude Maneuvers. Journal of Optimization Theory and Applications, 163(3), December 2014, 926-948. R Castro-Triguero, EI Saavedra Flores, FA Diaz de la O, MI Friswell & R Gallego, Optimal Sensor Placement in Timber Structures by Means of a Multi-scale Approach with Material Uncertainty. Structural Control and Health Monitoring, 21(12), December 2014, 1437-1452. Y Lei, S Adhikari, T Murmu & MI Friswell, Asymptotic Frequencies of Various Damped Nonlocal Beams and Plates. Mechanics Research Communications, 62, December 2014, 94-101. QL Hu, B Jiang & MI Friswell, Robust Saturated Finite-time Output Feedback Attitude Stabilization for Rigid Spacecraft. Journal of Guidance, Control, and Dynamics, 37(6), November 2014, 1914-1929. A Kundu, S Adhikari & MI Friswell, Stochastic Finite Elements of Discretely Parametrized Random Systems on Domains with Boundary Uncertainty. International Journal for Numerical Methods in Engineering, 100(3), 19 October 2014, 183-221. I Dayyani, MI Friswell & EI Saavedra Flores, A General Super Element for a Curved Beam. International Journal of Solids and Structures, 51(17), 15 August 2014, 2931-2939. EI Saavedra Flores, FA Diaz de la O, RM Ajaj, MI Friswell & GF Fernando, Mathematical Modelling of the Stochastic Mechanical Properties of Wood and its Extensibility at Small Scales. Applied Mathematical Modelling, 38(15-16), 1 August 2014, 3958-3967. Y Xia & MI Friswell, Efficient Solution of the Fuzzy Eigenvalue Problem in Structural Dynamics. Engineering Computations, 31(5), 2014, 864-878. I Dayyani, S Ziaei-Rad & MI Friswell, The Mechanical Behavior of Composite Corrugated Core Coated with Elastomer for Morphing Skins. Journal of Composite Materials, 48(13), June 2014, 1623-1636. S Barbarino, EI Saavedra Flores, RM Ajaj, I Dayyani & MI Friswell, A Review on Shape Memory Alloys with Applications to Morphing Aircraft. Smart Materials and Structures, 23(6), June 2014, paper 063001. DD Smith, MH Lowenberg, DP Jones & MI Friswell, Computational and Experimental Validation of the Active Morphing Wing. Journal of Aircraft, 51(3), May 2014, pp. 925-937. RM Ajaj, MI Friswell, EI Saavedra Flores, AJ Keane, AT Isikveren, G Allegri & S Adhikari, An Integrated Conceptual Design Study using Span Morphing Technology. Journal of Intelligent Material Systems and Structures, 25(8), May 2014, 989-1008. O Bilgen & MI Friswell, Piezoceramic Composite Actuators for a Solid-State Variable-Camber Wing. Journal of Intelligent Material Systems and Structures, 25(7), May 2014, 806-817. Y Xia, O Bilgen & MI Friswell, The Effect of Corrugated Skins on Aerodynamic Performance. Journal of Intelligent Material Systems and Structures, 25(7), May 2014, 786-794. BKS Woods, O Bilgen & MI Friswell, Wind Tunnel Testing of the Fish Bone Active Camber Morphing Concept. Journal of Intelligent Material Systems and Structures, 25(7), May 2014, 772-785. BKS Woods, MI Friswell & NM Wereley, Advanced Kinematics for Morphing Aircraft Actuation. AIAA Journal, 52(4), April 2014, 788-798. SP Vandenabeele, E Grundy, MI Friswell, A Grogan, SC Votier & RP Wilson, Excess Baggage for Birds: Inappropriate Placement of Tags on Gannets Changes Flight Patterns. PLOS ONE, 9(3), March 2014, paper e92657. P Kumar, S Narayanan, S Adhikari & MI Friswell, Fokker-Planck Equation Analysis of Randomly Excited Nonlinear Energy Harvester. Journal of Sound and Vibration, 333(7), March 2014, 2040-2053. B Titurus & MI Friswell, Damage Detection using Successive Parameter Subset Selections and Multiple Modal Residuals. Mechanical Systems and Signal Processing, 45, March 2014, 193-206. A Kundu, FA Diaz de la O, S Adhikari & MI Friswell, A Hybrid Spectral and Metamodeling Approach for the Stochastic Finite Element Analysis of Structural Dynamic Systems. Computer Methods in Applied Mechanics and Engineering, 270, March 2014, 201-219. EI Saavedra Flores, FA Diaz de la O, MI Friswell & RM Ajaj, Investigation on the Extensibility of the Wood Cell-wall Composite by an Approach based on Homogenisation and Uncertainty Analysis. Composite Structures, 108, February 2014, 212-222. R Castro-Triguero, SM Murugan, R Gallego & MI Friswell, Robust Sensor Placement under Parametric Uncertainty. Mechanical Systems and Signal Processing, 41(1-2), December 2013, 268-287. Y Lei, T Murmu, S Adhikari & MI Friswell, Dynamic Characteristics of Damped Viscoelastic Nonlocal Euler-Bernoulli Beams. European Journal of Mechanics A / Solids, 42, November-December 2013, 125-136. S Adhikari, EI Saavedra Flores, F Scarpa, R Chowdhury & MI Friswell, A Hybrid Atomistic Approach for the Mechanics of Deoxyribonucleic Acid Molecules. Journal of Nanotechnology in Engineering and Medicine, 4(4), November 2013, paper 041006. AH Zhang, QL Hu & MI Friswell, Finite-time Fault Tolerant Attitude Control for Over-activated Spacecraft Subject to Actuator Misalignment and Faults. IET Control Theory & Applications, 7(16), November 2013, 2007-2020. RM Ajaj, MI Friswell & EI Saavedra Flores, On the Effectiveness of Active Aeroelastic Structures for Morphing Aircraft. The Aeronautical Journal, 117(1197), November 2013, paper number 3916, 1165-1174. B Xiao, QL Hu & MI Friswell, Active Fault Tolerant Attitude Control for Flexible Spacecraft under Loss of Actuator Effectiveness. International Journal of Adaptive Control and Signal Processing, 27(11), November 2013, 925-943. RM Ajaj, MI Friswell, WG Dettmer, G Allegri & AT Isikveren, Dynamic Modelling and Actuation of the Adaptive Torsion Wing. Journal of Intelligent Material Systems and Structures, 24(16), November 2013, 2045-2057. M Borowiec, G Litak, MI Friswell, SF Ali, S Adhikari, AW Lees & O Bilgen, Energy Harvesting in Piezoelastic Systems Driven by Random Excitations. International Journal of Structural Stability and Dynamics, 13(7), October 2013, paper 1340006. I Dayyani, MI Friswell, S Ziaei-Rad & EI Saavedra Flores, Equivalent Models of Composite Corrugated Cores with Elastomeric Coatings for Morphing Structures. Composite Structures, 104, October 2013, 281-292. MI Friswell & EI Saavedra Flores, Dynamic Isolation Systems using Tunable Nonlinear Stiffness Beams. The European Physical Journal Special Topics, September 2013, 222(7), 1563-1573. RP Wilson, IW Griffiths, PA Legg, MI Friswell, O Bidder, LG Halsey, SA Lambertucci & ELC Shepard, Turn Costs Change the Value of Animal Search Paths. Ecology Letters, 16(9), September 2013, 1145-1150. AF Arrieta, O Bilgen, MI Friswell & P Ermanni, Modelling and Configuration Control of Wing-shaped Bi-stable Piezoelectric Composites under Aerodynamic Loads. Aerospace Science and Technology, 29(1), August 2013, 453-461. P Mahmoodi, RS Ransing & MI Friswell, Modelling the Effect of 'Heel to Toe' Roll-over Contact on the Walking Dynamics of Passive Biped Robots. Applied Mathematical Modelling, 37(12-13), July 2013, 7352-7373. RM Ajaj, EI Saavedra Flores, MI Friswell, G Allegri, BKS Woods, AT Isikveren & WG Dettmer, The Zigzag Wingbox for a Span Morphing Wing. Aerospace Science and Technology, 28(1), July 2013, 364-375. QL Hu, B Li & MI Friswell, Observer-based Fault Diagnosis Incorporating Online Control Allocation for Spacecraft Attitude Stabilization under Actuator Failures. The Journal of the Astronautical Sciences, 60(2), June 2013, 211-236. EI Saavedra Flores & MI Friswell, Ultrastructural Mechanisms of Deformation and Failure in Wood under Tension. International Journal of Solids and Structures, 50(13), June 2013, 2050-2060. Y Lei, S Adhikari & MI Friswell, Vibration of Nonlocal Kelvin-Voigt Viscoelastic Damped Timoshenko Beams. International Journal of Engineering Science, 66-67, May-June 2013, 1-13. RM Ajaj, MI Friswell, D Smith & AT Isikveren, A Conceptual Wing-box Weight Estimation Model for Transport Aircraft. The Aeronautical Journal, 117(1191), May 2013, paper number 3796, 533-551. SM Murugan & MI Friswell, Morphing Wing Flexible Skins with Curved Fiber Composites. Composite Structures, 99, May 2013, 69-75. FA Diaz de la O, S Adhikari, EI Saavedra Flores & MI Friswell, Stochastic Structural Dynamic Analysis using Bayesian Emulators. Computers & Structures, 120, April 2013, 24-32. O Bilgen & MI Friswell, Implementation of a Continuous-Inextensible-Surface Piezocomposite Airfoil. Journal of Aircraft, 50(2), March 2013, 508-518. RM Ajaj, MI Friswell, DG Dettmer, AT Isikveren & G Allegri, Roll Control of a MALE UAV using the Adaptive Torsion Wing. The Aeronautical Journal, 117(1189), March 2013, paper number 3809, 299-314. EI Saavedra Flores, MI Friswell & Y Xia, Variable Stiffness Biological and Bio-inspired Materials. Journal of Intelligent Material Systems and Structures, 24(5), March 2013, 529-540. O Bilgen, AF Arrieta, MI Friswell & P Hagedorn, Dynamic Control of a Bistable Wing under Aerodynamic Loading. Smart Materials and Structures, 22(2), February 2013, paper 025020. AF Arrieta, O Bilgen, MI Friswell & P Hagedorn, Dynamic Control for Morphing of Bi-stable Composites. Journal of Intelligent Material Systems and Structures, 24(3), February 2013, 266-273. JK Zhou, QL Hu & MI Friswell, Decentralized Finite-time Attitude Synchronization Control of Satellite Formation Flying. Journal of Guidance, Control, and Dynamics, 36(1), January 2013, 185-195. RM Ajaj, MI Friswell, WG Dettmer, G Allegri & AT Isikveren, Performance and Control Optimisations using the Adaptive Torsion Wing. The Aeronautical Journal, 116(1184), October 2012, paper number 3775, 1061-1077. A Gatto, P Bourdin & MI Friswell, Experimental Investigation into the Control and Load Alleviation Capabilities of Articulated Winglets. International Journal of Aerospace Engineering, 2012, Article ID 789501, 15 pages. MI Friswell, SF Ali, O Bilgen, S Adhikari, AW Lees & G Litak, Nonlinear Piezoelectric Vibration Energy Harvesting from a Vertical Cantilever Beam with Tip Mass. Journal of Intelligent Material Systems and Structures, 23(13), September 2012, 1505-1521. AF Arrieta, O Bilgen, MI Friswell & P Hagedorn, Passive Load Alleviation Bi-stable Morphing Concept. AIP Advances, 2(3), September 2012, paper 032118. DD Smith, RM Ajaj, AT Isikveren & MI Friswell, Multi-Objective Optimization for the Multiphase Design of Active Polymorphing Wings. Journal of Aircraft, 49(4), July-August 2012, 1153-1160. QL Hu, B Xiao & MI Friswell, Fault-tolerant Control with H∞ Performance for Attitude Tracking of Flexible Spacecraft. IET Control Theory and Applications, 6(10), July 2012, 1388-1399. G Litak, MI Friswell, CA Kitio Kwuimy, S Adhikari & M Borowiec, Energy Harvesting by Two Magnetopiezoelastic Oscillators with Mistuning. Theoretical & Applied Mechanics Letters, 2(4), July 2012, paper 043009. EI Saavedra Flores & MI Friswell, Multi-scale Finite Element Models for a New Material Inspired by the Mechanics and Structure of Wood Cell-walls. Journal of the Mechanics and Physics of Solids, 60(7), July 2012, 1296-1309. Y Xia, MI Friswell & EI Saavedra Flores, Equivalent Models of Corrugated Panels. International Journal of Solids and Structures, 49(13), June 2012, 1453-1462. E Jacquelin, S Adhikari & MI Friswell, A Second-Moment Approach for Direct Probabilistic Model Updating in Structural Dynamics. Mechanical Systems and Signal Processing, 29, May 2012, 262-283. EI Saavedra Flores, FA Diaz De la O, MI Friswell & J Sienz, A Computational Multi-Scale Approach for the Stochastic Mechanical Response of Foam-Filled Honeycomb Cores. Composite Structures, 94(5), April 2012, 1861-1870. SM Murugan, EI Saavedra Flores, S Adhikari & MI Friswell, Optimal Design of Variable Fiber Spacing Composites for Morphing Aircraft Skins. Composite Structures, 94(5), April 2012, 1626-1633. EI Saavedra Flores, SM Murugan, MI Friswell & EA de Souza Neto, Reorientation of Fibres and Local Mechanisms of Deformation in a Wood-Inspired Composite. Journal of Multiscale Modeling, 4(1), March 2012, Article ID 1250003, 15 pages. JET Penny, MI Friswell & DJ Inman, Approximate Frequency Analysis in Structural Dynamics. Mechanical Systems and Signal Processing, 27, February 2012, 370-378. S Murugan, R Chowdhury, S Adhikari & MI Friswell, Helicopter Aeroelastic Analysis with Spatially Uncertain Rotor Blade Properties. Aerospace Science and Technology, 16(1), January-February 2012, 29-39. O Bilgen, MI Friswell & DJ Inman, Theoretical and Experimental Analysis of Hysteresis in Piezocomposite Airfoils using the Classical Preisach Model. Journal of Aircraft, 48(6), November-December 2011, 1935-1947. SF Ali, MI Friswell & S Adhikari, Analysis of Energy Harvesters for Highway Bridges. Journal of Intelligent Material Systems and Structures, 22(16), November 2011, 1929-1938. EI Saavedra Flores, S Adhikari, MI Friswell & F Scarpa, Hyperelastic Axial Buckling of Single Wall Carbon Nanotubes. Physica E: Low-dimensional Systems and Nanostructures, 44(2), November 2011, 525-529. DJ Rodrigues, AR Champneys, MI Friswell & RE Wilson, Two-Plane Automatic Balancing: A Symmetry Breaking Analysis. International Journal of Non-Linear Mechanics, 46(9), November 2011, 1139-1154. E Jacquelin, S Adhikari & MI Friswell, Piezoelectric Device for Impact Energy Harvesting. Smart Materials and Structures, 20(10), October 2011, paper 105008. L Mthembu, T Marwala, MI Friswell & S Adhikari, Model Selection in Finite Element Model Updating using the Bayesian Evidence Statistic. Mechanical Systems and Signal Processing, 25(7), October 2011, 2399-2412. JE Mottershead, M Link & MI Friswell, The Sensitivity Method in Finite Element Model Updating: A Tutorial. Mechanical Systems and Signal Processing, 25(7), October 2011, 2275-2296. B Xiao, QL Hu & MI Friswell, Robust Fault Tolerant Control for Spacecraft Attitude Stabilization under Actuator Faults and Bounded Disturbance. ASME Journal of Dynamic Systems, Measurement and Control, 133(5), September 2011, paper 051006. G Litak, M Borowiec, MI Friswell & S Adhikari, Energy Harvesting in a Magnetopiezoelastic System Driven by Random Excitations with Uniform and Gaussian Distributions. Journal of Theoretical and Applied Mechanics, 49(3), July 2011, 757-764. MA Karami, O Bilgen, DJ Inman & MI Friswell, Experimental and Analytical Parametric Study of Single Crystal Unimorph Beams for Vibration Energy Harvesting. Transactions on Ultrasonics, Ferroelectrics, and Frequency Control, 58(7), July 2011, 1508-1520. S Barbarino, O Bilgen, RM Ajaj, MI Friswell & DJ Inman, A Review of Morphing Aircraft. Journal of Intelligent Material Systems and Structures, 22(9), June 2011, 823-877. R Chowdhury, S Adhikari, F Scarpa & MI Friswell, Transverse Vibration of Single Layer Graphene Sheets. Journal of Physics D: Applied Physics, 44(20), May 2011, paper 205401. O Bilgen, MA Karami, DJ Inman & MI Friswell, Actuation Characterization of Cantilevered Unimorph Beams with Single Crystal Piezoelectric Materials. Smart Materials and Structures, 20(5), May 2011, paper 055024. SF Ali, S Adhikari, MI Friswell & S Narayanan, The Analysis of Piezomagnetoelastic Energy Harvesters under Broadband Random Excitations. Journal of Applied Physics, 109(7), April 2011, paper 074904. AT Savadkoohi, M Molinari, OS Bursi & MI Friswell, Model Updating of a Semi-Rigid Moment Resisting Structure. Structural Control and Health Monitoring, 18(2), March 2011, 149-168. S Adhikari, R Chowdhury & MI Friswell, High Dimensional Model Representation Method for Fuzzy Structural Dynamics. Journal of Sound and Vibration, 330(7), March 2011, 1516-1529. JT Sawicki, MI Friswell, Z Kulesza, A Wroblewski & JD Lekki, Detecting Cracked Rotors using Auxiliary Harmonic Excitation. Journal of Sound and Vibration, 330(7), March 2011, 1365-1381. QL Hu, B Xiao & MI Friswell, Robust Fault Tolerant Control for Spacecraft Attitude Stabilization Subject to Input Saturation. IET Control Theory and Applications, 5(2), January 2011, 271-282. EI Saavedra-Flores, S Adhikari, MI Friswell & F Scarpa, Hyperelastic Finite Element Model for Single Wall Carbon Nanotubes in Tension. Computational Material Science, 50(3), January 2011, 1083-1087. DJ Rodrigues, AR Champneys, MI Friswell & RE Wilson, Experimental Investigation of a Single-Plane Automatic Balancing Mechanism for a Rigid Rotor. Journal of Sound and Vibration, 330(3), January 2011, 385-403. MI Friswell, JK Dutt, S Adhikari & AW Lees, Time Domain Analysis of a Viscoelastic Rotor using Internal Variable Models. International Journal of Mechanical Sciences, 52(10), October 2010, 1319-1324. SF Ali, MI Friswell & S Adhikari, Piezoelectric Energy Harvesting with Parametric Uncertainty. Smart Materials and Structures, 19(10), October 2010, paper 105010. A Gatto, P Bourdin & MI Friswell, Experimental Investigation into Articulated Winglet Effects on Flying Wing Surface Pressure Aerodynamics. Journal of Aircraft, 47(5), September-October 2010, 1811-1815. JE Herencia, PM Weaver & MI Friswell, Closed Form Solutions for Buckling of Long Anisotropic Plates with Various Boundary Conditions under Axial Compression. Journal of Engineering Mechanics, 136(9), September 2010, 1105-1114. YY He, XM Zhang & MI Friswell, Observation of Time-Frequency Characteristics of the Acoustic Emission from Defects in Rolling Element Bearings. Insight - Non-Destructive Testing and Condition Monitoring, 52(8), August 2010, 412-418. T Melin, AT Isikveren & MI Friswell, Induced Drag Compressibility Correction for 3D Vortex Lattice Methods. Journal of Aircraft, 47(4), July-August 2010, 1458-1460. MI Friswell & S Adhikari, Sensor Shape Design for Piezoelectric Cantilever Beams to Harvest Vibration Energy. Journal of Applied Physics, 108(1), July 2010, paper 014901. G Litak, MI Friswell & S Adhikari, Magnetopiezoelastic Energy Harvesting Driven by Random Excitations. Applied Physics Letters, 96(21), May 2010, paper 214103. QL Hu & MI Friswell, Robust Variable Structure Attitude Control with L2-gain Performance for Flexible Spacecraft Including Input Saturation. Journal of Systems and Control Engineering, 224(2), 2010, 153-167. JJ Scholey, PD Wilcox, MR Wisnom & MI Friswell, Quantitative Experimental Measurements of Matrix Cracking and Delamination using Acoustic Emission. Composites Part A: Applied Science and Manufacturing, 41(5), May 2010, 612-623. MI Friswell & S Adhikari, Structural Health Monitoring using Shaped Sensors. Mechanical Systems and Signal Processing, 24(3), April 2010, 623-635. YY Xia, ZP Qiu & MI Friswell, The Dynamic Response of Structures with Bounded Parameters and Interval Initial Conditions. Journal of Sound and Vibration, 329(3), February 2010, 353-365. S Adhikari & MI Friswell, Distributed Parameter Model Updating using the Karhunen-Loeve Expansion. Mechanical Systems and Signal Processing, 24(2), February 2010, 326-339. P Bourdin, A Gatto & MI Friswell, Performing Co-ordinated Turns with Articulated Wing-tips as Multi-axis Control Effectors The Aeronautical Journal, 114(1151), January 2010, 35-47. JJ Scholey, PD Wilcox, MR Wisnom, MI Friswell, M Pavier & MR Aliha, A Generic Technique for Acoustic Emission Source Location Journal of Acoustic Emission, 27, 2009, 291-298. YY He, XM Zhang & MI Friswell, Defect Diagnosis for Rolling Element Bearings using Acoustic Emission. Journal of Vibration and Acoustics, 131(6), December 2009, paper 061012. S Adhikari & MI Friswell, Shaped Modal Sensors for Stochastic Beams. Journal of Intelligent Material Systems and Structures, 20(18), December 2009, 2269-2284. S Adhikari, MI Friswell & DJ Inman, Piezoelectric Energy Harvesting from Broadband Random Vibrations. Smart Materials and Structures, 18(11), November 2009, paper 115005. A Carrella, MI Friswell, A Zotov, DJ Ewins and A Tichonov, Using Nonlinear Springs to Reduce the Whirling of a Rotating Shaft. Mechanical Systems and Signal Processing, 23(7), October 2009, 2228-2235. S Adhikari, MI Friswell, K Lonkar & A Sarkar, Experimental Case Studies for Uncertainty Quantification in Structural Dynamics. Probabilistic Engineering Mechanics, 24(4), October 2009, 473-492. M Molinari, AT Savadkoohi, OS Bursi, MI Friswell & D Zonta, Damage Identification of a 3-D Full Scale Steel-Concrete Composite Structure with Partial Strength Joints at Different Pseudo-dynamic Load Levels. Earthquake Engineering and Structural Dynamics, 38(10), August 2009, 1219-1236. AW Lees, JK Sinha & MI Friswell, Model Based Identification of Rotating Machines. Mechanical Systems and Signal Processing, 23(6), August 2009, 1884-1893. JJ Scholey, PD Wilcox, MR Wisnom & MI Friswell, A Practical Technique for Quantifying the Performance of AE Systems on Plate-like Structures. Ultrasonics, 49(6-7), June 2009, 538-548. A Gatto, F Mattioni & MI Friswell, Experimental Investigation of Bistable Winglets to Enhance Aircraft Wing Lift Takeoff Capability. Journal of Aircraft, 46(2), March-April 2009, 647-655. G Litak, M Borowiec, MI Friswell & W Przystupa, Chaotic Response of a Quarter-Car Model Forced by a Road Profile with a Stochastic Component. Chaos Solitons and Fractals, 39(5), March 2009, 2448-2456. D Baker & MI Friswell, Determinate Structures for Wing Camber Control. Smart Materials and Structures, 18(3), March 2009, paper 035014. H Cao & MI Friswell, The Effect of Energy Concentration of Earthquake Ground Motions on the Nonlinear Response of RC Structures. Soil Dynamics and Earthquake Engineering, 29(2), February 2009, 292-299. F Mattioni, PM Weaver & MI Friswell, Multistable Composite Plates with Piecewise Variation of Lay-up in the Planform. International Journal of Solids and Structures, 46(1), January 2009, 151-164. JE Herencia, PM Weaver & MI Friswell, Optimization of Anisotropic Composite Panels with T-shaped Stiffeners including Transverse Shear Effects and Out-of-plane Loading. Structural and Multidisciplinary Optimization, 37(2), December 2008, 165-184. HH Khodaparast, JE Mottershead & MI Friswell, Perturbation Methods for the Estimation of Parameter Variability in Stochastic Model Updating. Mechanical Systems and Signal Processing, 22(8), November 2008, 1751-1773. JE Herencia, RT Haftka, PM Weaver & MI Friswell, Lay-Up Optimization of Composite Stiffened Panels using Linear Approximations in Lamination Space. AIAA Journal, 46(9), September 2008, 2387-2391. G Litak, M Borowiec, MI Friswell & K Szabelski, Chaotic Vibration of a Quarter-Car Model Excited by the Road Surface Profile. Communications in Nonlinear Science and Numerical Simulations, 13(7), September 2008, 1373-1383. B Titurus & MI Friswell, Regularization in Model Updating. International Journal for Numerical Methods in Engineering, 75(4), July 2008, 440-478. DJ Rodrigues, AR Champneys, MI Friswell & RE Wilson, Automatic Two-Plane Balancing for Rigid Rotors. International Journal of Non-linear Mechanics, 43(6), July 2008, 527-541. JE Herencia, PM Weaver & MI Friswell, Initial Sizing Optimisation of Anisotropic Composite Panels with T-shaped Stiffeners. Thin-Walled Structures, 46(4), 399-412, April 2008. P Bourdin, A Gatto & MI Friswell, Aircraft Control via Variable Cant Angle Winglets. Journal of Aircraft, 45(2), March-April 2008, 414-423. CK Lee, JJ Scholey, SE Worthington, PD Wilcox, MR Wisnom, MI Friswell & BW Drinkwater, Acoustic Emission from Pitting Corrosion in Stressed Stainless Steel Plate. Corrosion Engineering, Science and Technology, 43(1), March 2008, 54-63. K Green, AR Champneys, MI Friswell & AM Munoz, Investigation of a Multi-ball Automatic Dynamic Balancing Mechanism for Eccentric Rotors. Royal Society Philosophical Transactions A, 366(1866), March 2008, 705-728. F Mattioni, PM Weaver, KD Potter & MI Friswell, Analysis of Thermally Induced Multistable Composites. International Journal of Solids and Structures, 45(2), January 2008, 657-675. MI Friswell, S Adhikari & Y Lei, Non-local Finite Element Analysis of Damped Beams. International Journal of Solids and Structures, 44(22-23), November 2007, 7564-7576. JE Herencia, PM Weaver & MI Friswell, Optimisation of Long Anisotropic Laminated Fibre Composite Panels with T Shape Stiffeners. AIAA Journal, 45(10), October 2007, 2497-2509. S Adhikari, MI Friswell & Y Lei, Modal Analysis of Non-viscously Damped Beams. Journal of Applied Mechanics, 74(5), September 2007, 1026-1030. K Jian & MI Friswell, Distributed Modal Sensors for Rectangular Plate Structures. Journal of Intelligent Material Systems and Structures, 18(9), September 2007, 939-948. MI Friswell, S Adhikari & Y Lei, Vibration Analysis of Beams with Non-local Foundations using the Finite Element Method. International Journal for Numerical Methods in Engineering, 71(11), September 2007, 1365-1386. C Zang, MI Friswell & M Imregun, Structural Health Monitoring using Frequency Response Correlation Criteria. ASCE Journal of Engineering Mechanics, 133(9), September 2007, 981-993. G Litak, M Borowiec, M Ali, LM Saha & MI Friswell, Pulsive Feedback Control of a Quarter Car Model Forced by a Road Profile. Chaos Solitons and Fractals, 33(5), August 2007, 1672-1676. JA Etches, JJ Scholey, GJ Williams, IP Bond, PH Mellor, MI Friswell & NAJ Lieven, Exploiting Functional Fibers in Advanced Composite Materials. Journal of Intelligent Material Systems and Structures, 18(5), May 2007, 449-458. MI Friswell & D Wang, The Minimum Support Stiffness Required to Raise the Fundamental Natural Frequency of Plate Structures. Journal of Sound and Vibration, 301(3-5), April 2007, 665-677. JR Fonseca, MI Friswell & AW Lees, Efficient Robust Design via Monte Carlo Sample Reweighting. International Journal for Numerical Methods in Engineering, 69(11), March 2007, 2279-2301. MI Friswell, Damage Identification using Inverse Methods. Special Issue of the Royal Society Philosophical Transactions A on Structural Health Monitoring, 365(1851), February 2007, 393-410. MJ Terrell, MI Friswell & NAJ Lieven, Constrained Generic Substructure Transformations. Journal of Sound and Vibration, 300(1-2), February 2007, 265-279. MI Friswell, JT Sawicki, DJ Inman & AW Lees, The Response of Rotating Machines on Viscoelastic Supports. International Review of Mechanical Engineering, 1(1), January 2007, 32-40. S Adhikari & MI Friswell, Random Matrix Eigenvalue Problems in Structural Dynamics. International Journal for Numerical Methods in Engineering, 69(3), January 2007, 562-591. M Abdelghani & MI Friswell, Sensor Validation for Structural Systems with Multiplicative Sensor Faults. Mechanical Systems and Signal Processing, 21(1), January 2007, 270-279. AW Lees & MI Friswell, Where Next for Condition Monitoring of Rotating Machinery? Advances in Vibration Engineering, 5(4), 2006, 263-277. K Jian & MI Friswell, Designing Distributed Modal Sensors for Plate Structures using Finite Element Analysis. Mechanical Systems and Signal Processing, 20(8), November 2006, 2290-2304. JE Mottershead, C Mares, S James & MI Friswell, Stochastic Model Updating: Part 2 - Application to a Set of Physical Structures. Mechanical Systems and Signal Processing, 20(8), November 2006, 2171-2185. C Mares, JE Mottershead & MI Friswell, Stochastic Model Updating: Part 1 - Theory and Simulated Example. Mechanical Systems and Signal Processing, 20(7), October 2006, 1674-1695. S Adhikari & MI Friswell, The Calculation of Eigensolution Derivatives for Nonviscously Damped Systems using Nelson's Method. AIAA Journal, 44(8), August 2006, 1799-1806. Y Lei, MI Friswell & S Adhikari, A Galerkin Method for Distributed Systems with Non-local Damping. International Journal of Solids and Structures, 43(11-12), June 2006, 3381-3400. H Ahmadian, JE Mottershead, S James, MI Friswell & CA Reece, Modelling and Updating of Large Surface-to-Surface Joints in the AWE MACE Structure. Mechanical Systems and Signal Processing, 20(4), May 2006, 868-880. D Wang, MI Friswell & Y Lei, Maximizing the Fundamental Natural Frequency of a Beam with an Intermediate Elastic Support. Journal of Sound and Vibration, 291(3-5), April 2006, 1229-1238. MI Friswell, Efficient Placement of Rigid Supports using Finite Element Models. Communications in Numerical Methods in Engineering, 22(3), March 2006, 205-213. K Green, AR Champneys & MI Friswell, Analysis of the Transient Response of an Automatic Dynamic Balancer for Eccentric Rotors. International Journal of Mechanical Sciences, 48(3), March 2006, 274-293. K Worden, G Manson, TM Lord & MI Friswell, Some Observations on Uncertainty Propagation through a Simple Nonlinear System. Special Issue of the Journal of Sound and Vibration on Uncertainty, 288(3), December 2005, 601-621. JR Fonseca, MI Friswell, JE Mottershead & AW Lees, Uncertainty Identification by the Maximum Likelihood Method. Special Issue of the Journal of Sound and Vibration on Uncertainty, 288(3), December 2005, 587-599. G Litak & MI Friswell, Dynamics of a Gear System with Faults in Meshing Stiffness. Nonlinear Dynamics, 41(4), September 2005, 415-421. ED Price, AW Lees & MI Friswell, Detection of Severe Sliding and Pitting Fatigue Wear Regimes Through the use of Broadband Acoustic Emission. IMechE Proceedings J: Journal of Engineering Tribology, 219(2), April 2005, 85-98. ZP Qiu, X Wang & MI Friswell, Eigenvalue Bounds of Structures with Uncertain-but-Bounded Parameters. Journal of Sound and Vibration, 282(1-2), April 2005, 297-312. M Palmonella, MI Friswell, JE Mottershead & AW Lees, Finite Element Models of Spot Welds in Structural Dynamics: Review and Updating. Computers & Structures, 83(8-9), March 2005, 648-661. C Zang, MI Friswell & JE Mottershead, A Review of Robust Optimal Design and its Application in Dynamics. Computers & Structures, 83(4-5), January 2005, 315-326. MI Friswell, U Prells & SD Garvey, Low Rank Modifications of Classical Damping and Defective Systems. Journal of Sound and Vibration, 279(3-5), January 2005, 757-774. M Palmonella, MI Friswell, JE Mottershead & AW Lees, Guidelines for the Implementation of the CWELD and ACM2 Spot Weld Models in Structural Dynamics. Finite Elements in Analysis and Design, 41(2), November 2004, 193-210. JK Sinha, AW Lees & MI Friswell, Estimating the Static Load on the Fluid Bearings of a Flexible Machine from Run-down Data. Mechanical Systems and Signal Processing, 18(6), November 2004, 1349-1368. M Abdelghani & MI Friswell, Sensor Validation for Structural Systems with Additive Sensor Faults. Structural Health Monitoring: An International Journal, 3(3), September 2004, 265-275. SD Garvey, U Prells, MI Friswell & Z Chen, Isospectral Flows for Second Order Systems. Linear Algebra and its Applications, 385C, July 2004, 335-368. JK Sinha, AW Lees & MI Friswell, Estimating Unbalance and Misalignment of a Flexible Rotating Machine from a Single Run-Down. Journal of Sound and Vibration, 272(3-5), May 2004, 967-989. AW Lees, JK Sinha & MI Friswell, The Identification of the Unbalance of a Flexible Rotating Machine from a Single Run-Down. ASME Journal of Engineering for Gas Turbines & Power, 126(2), April 2004, 416-421. C Zang, MI Friswell & M Imregun, Structural Damage Detection using Independent Component Analysis. Structural Health Monitoring: An International Journal, 3(1), March 2004, 69-84. R Tiwari, AW Lees & MI Friswell, Identification of Bearing Dynamic Parameters: A Review. Shock and Vibration Digest, 36(2), March 2004, 99-124. JL Zapico, MP Gonzalez, MI Friswell, CA Taylor & AJ Crewe, Finite Element Model Updating of a Small Scale Bridge. Journal of Sound and Vibration, 268(5), December 2003, 993-1012. B Titurus, MI Friswell & L Starek, Damage Detection using Generic Elements: Part I, Model Updating. Computers and Structures, 81(24-25), September 2003, 2273-2286. B Titurus, MI Friswell & L Starek, Damage Detection using Generic Elements: Part II, Damage Detection. Computers and Structures, 81(24-25), September 2003, 2287-2299. SD Garvey, F Tisseur, MI Friswell, JET Penny & U Prells, Simultaneous Tridiagonalisation of Two Symmetric Matrices. International Journal for Numerical Methods in Engineering, 57(12), July 2003, 1643-1660. JK Sinha and MI Friswell, The Use of Model Updating for Reliable Finite Element Modelling and Fault Diagnosis of Structural Components Used in Nuclear Plants. Nuclear Engineering and Design, 223(1), July 2003, 11-23. U Prells, JE Mottershead & MI Friswell, On Pole-Zero Placement by Unit-Rank Modification. Mechanical Systems and Signal Processing, 17(3), May 2003, 611-633. G Litak & MI Friswell, Vibration in Gear Systems. Chaos, Solitons and Fractals, 16(5), April 2003, 145-150. JET Penny, MI Friswell & SD Garvey, Detecting Aliased Frequency Components in Discrete Fourier Transforms. Mechanical Systems and Signal Processing, 17(2), March 2003, 473-481. M Link & MI Friswell, Generation of Validated Structural Dynamic Models - Results of a Benchmark Study Utilising the GARTEUR SM-AG19 Testbed. Mechanical Systems and Signal Processing, COST Action Special Issue, 17(1), January 2003, 9-20. C Mares, JE Mottershead & MI Friswell, Results Obtained by Minimising Natural-Frequency Errors and using Physical Reasoning. Mechanical Systems and Signal Processing, COST Action Special Issue, 17(1), January 2003, 39-46. SD Garvey, MI Friswell & U Prells, Coordinate Transformations for Second-Order Systems: Part I General Transformations. Journal of Sound and Vibration, 258(5), December 2002, 885-909. SD Garvey, MI Friswell & U Prells, Coordinate Transformations for Second-Order Systems: Part II Elementary Structure Preserving Transformations. Journal of Sound and Vibration, 258(5), December 2002, 911-930. SD Garvey, MI Friswell, EJ Williams, AW Lees & I Care, Robust Balancing for Rotating Machines. IMechE Journal of Engineering Science, 216(11), November 2002, 1117-1130. MI Friswell & JET Penny, Crack Modelling for Structural Health Monitoring. Structural Health Monitoring: An International Journal, 1(2), October 2002, 139-148. H Ahmadian, JE Mottershead & MI Friswell, Physical Realisation of Generic Element Parameters in Model Updating. Journal of Vibration and Acoustics, 124(4), October 2002, 628-633. JK Sinha & MI Friswell, Simulation of the Dynamic Response of a Cracked Beam. Computers and Structures, 80(18-19), July 2002, 1473-1476. R Tiwari, AW Lees & MI Friswell, Identification of Speed-Dependent Bearing Parameters. Journal of Sound and Vibration, 254(5), July 2002, 967-986. JK Sinha, MI Friswell & S Edwards, Simplified Models for the Location of Cracks in Beam Structures using Measured Vibration Data. Journal of Sound and Vibration, 251(1), March 2002, 13-38. JK Sinha & MI Friswell, Model Updating: A Tool for Reliable Modelling, Design Modification and Diagnosis. Shock and Vibration Digest, 34(1), January 2002, 27-35. C Mares, MI Friswell & JE Mottershead, Model Updating using Robust Estimation. Mechanical Systems and Signal Processing, 16(1), January 2002, 169-183. H Ahmadian, JE Mottershead & MI Friswell, Boundary Condition Identification by Solving Characteristic Equations. Journal of Sound and Vibration, 247(5), November 2001, 755-763. MI Friswell, JET Penny, SD Garvey & AW Lees, Damping Ratio and Natural Frequency Bifurcations in Rotating Systems. Journal of Sound and Vibration, 245(5), August 2001, 960-967. JK Sinha & MI Friswell, The Location of Spring Supports from Measured Vibration Data. Journal of Sound and Vibration, 244(1), June 2001, 137-153. S Adhikari & MI Friswell, Eigenderivative Analysis of Asymmetric Non-Conservative Systems. International Journal for Numerical Methods in Engineering, 51(6), June 2001, 709-733. MI Friswell & AW Lees, The Modes of Non-Homogeneous Damped Beams. Journal of Sound and Vibration, 242(2), April 2001, 355-361. MI Friswell, On the Design of Modal Actuators and Sensors. Journal of Sound and Vibration, 241(3), March 2001, 361-372. JE Mottershead, C Mares & MI Friswell, An Inverse Method for the Assignment of Vibration Nodes. Mechanical Systems and Signal Processing, 15(1), January 2001, 87-100. SD Garvey, MI Friswell & JET Penny, Clifford Algebraic Perspective on Linear Second-Order Systems. AIAA Journal of Guidance, Control, and Dynamics, 24(1), January-February 2001, 35-45. MI Friswell, JE Mottershead & H Ahmadian, Finite Element Model Updating using Experimental Test Data: Parameterization and Regularization. Transactions of the Royal Society of London, Series A, Special Issue on Experimental Modal Analysis, 359(1778), January 2001, 169-186. MI Friswell & S Adhikari, Derivatives of Complex Eigenvectors using Nelson's Method. AIAA Journal, 38(12), December 2000, 2355-2357. JE Mottershead, C Mares, MI Friswell & S James, Selection and Updating of Parameters for an Aluminium Space-Frame Model. Mechanical Systems and Signal Processing, 14(6), November 2000, 923-944. U Prells & MI Friswell, Calculating Derivatives of Repeated and Non-Repeated Eigenvalues without Explicit Use of their Eigenvectors. AIAA Journal, 38(8), August 2000, 1426-1436. H Ahmadian, JE Mottershead & MI Friswell, Damage Location Indicators from Substructure Mode Shapes. Inverse Problems in Engineering, 8(4), August 2000, 309-323. MG Smart, MI Friswell & AW Lees, Estimating Turbogenerator Foundation Parameters - Model Selection and Regularisation. Proceedings of the Royal Society of London, Series A: Mathematical, Physical and Engineering Sciences, 456, No. 1999, July 2000, 1583-1607. S Edwards, AW Lees & MI Friswell, Experimental Identification of Excitation and Support Parameters of a Flexible Rotor-Bearings-Foundation System from a Single Run-Down. Journal of Sound and Vibration, 232(5), May 2000, 963-992. U Prells & MI Friswell, A Relationship Between Defective Systems and Unit-Rank Modification of Classical Damping. Journal of Vibration and Acoustics, 122(2), April 2000, 180-183. U Prells & MI Friswell, A Measure of Non-proportional Damping. Mechanical Systems and Signal Processing, 14(2), March 2000, 125-137. MI Friswell & DJ Inman, Sensor Validation for Smart Structures. Journal of Intelligent Material Systems and Structures, 10(12), December 1999, 973-982. MI Friswell & DJ Inman, Reduced Order Models of Structures with Viscoelastic Components. AIAA Journal, 37(10), October 1999, 1318-1325. JE Mottershead, MI Friswell & C Mares, A Method for Determining Model-Structure Errors and for Locating Damage in Vibrating Systems. Meccanica, 34(3), August 1999, 153-166. S Edwards, AW Lees & MI Friswell, The Influence of Torsion on Rotor-Stator Contact in Rotating Machinery. Journal of Sound and Vibration, 225(4), August 1999, 767-778. U Prells & MI Friswell, Application of the Variable Projection Method for Updating Models of Mechanical Systems. Journal of Sound and Vibration, 225(2), August 1999, 307-325. MI Friswell, Partial and Segmented Modal Sensors for Beam Structures. Journal of Vibration and Control, 5(4), July 1999, 619-637. MI Friswell & DJ Inman, On the Relationship Between Positive Position Feedback and Output Feedback Controllers. Journal of Smart Materials and Structures, 8(3), June 1999, 285-291. SD Garvey, MI Friswell & JET Penny, Some Further Insight into Self-Adjoint Second-Order Systems. Journal of Vibration and Control, 5(2), March 1999, 237-252. MI Friswell, SD Garvey & JET Penny, Extracting Second Order Systems from State Space Representations. AIAA Journal, 37(1), January 1999, 132-135. MG Smart, MI Friswell, AW Lees & U Prells, Estimating Turbo-Generator Foundation Parameters. IMechE Journal of Engineering Science, 212(C8), 1998, 653-665. MI Friswell & AW Lees, Resonance Frequencies of Viscously Damped Structures. Journal of Sound and Vibration, 217(5), November 1998, 950-959. MI Friswell, JE Mottershead & H Ahmadian, Combining Subset Selection and Parameter Constraints in Model Updating. Journal of Vibration and Acoustics, 120(4), October 1998, 854-859. MI Friswell, JE Mottershead & MG Smart, Dynamic Models of Golf Clubs. Sports Engineering, 1(1), September 1998, 41-50. MI Friswell, JET Penny & SD Garvey, A Combined Genetic and Eigensensitivity Algorithm for the Location of Damage in Structures. Computers and Structures, 69(5), September 1998, 547-556. MI Friswell, SD Garvey, JET Penny & MG Smart, Computing Critical Speeds for Rotating Machines with Speed-Dependent Bearing Properties. Journal of Sound and Vibration, 213(1), May 1998, 139-158. SD Garvey, JET Penny & MI Friswell, The Relationship between the Real and Imaginary Parts of Complex Modes. Journal of Sound and Vibration, 212(1), April 1998, 75-83. U Prells, AW Lees, MI Friswell & MG Smart, Minimisation of the Effect of Uncertainty on Model Estimation. Mechanical Systems and Signal Processing, 12(2), March 1998, 333-355. MI Friswell, SD Garvey & JET Penny, The Convergence of the Iterated IRS Method. Journal of Sound and Vibration, 211(1), March 1998, 123-132. MI Friswell, DJ Inman & DF Pilkey, The Direct Updating of Damping and Stiffness Matrices. AIAA Journal, 36(3), March 1998, 491-493. H Ouyang, JE Mottershead, MP Cartmell & MI Friswell, Friction Induced Parametric Resonances in Discs: The Effect of a Negative Friction-Velocity Relationship. Journal of Sound and Vibration, 209(2), January 1998, 251-264. H Ahmadian, JE Mottershead & MI Friswell, Regularisation Methods for Finite Element Model Updating. Mechanical Systems and Signal Processing, 12(1), Januray 1998, 47-64. H Ahmadian, MI Friswell & JE Mottershead, Minimisation of the Discretisation Error in Mass and Stiffness Formulations by an Inverse Method. International Journal for Numerical Methods in Engineering, 41, January 1998, 371-387. S Edwards, AW Lees & MI Friswell, Fault Diagnosis of Rotating Machinery. Shock and Vibration Digest, 30(1), January 1998, 4-13. AW Lees & MI Friswell, The Evaluation of Rotor Imbalance in Flexibly Mounted Machines. Journal of Sound and Vibration, 208(5), December 1997, 671-683. MI Friswell, DJ Inman & MJ Lam, On the Realisation of GHM Models in Viscoelasticity. Journal of Intelligent Material Systems and Structures, 8(11), November 1997, 986-993. MI Friswell, JET Penny & SD Garvey, Parameter Subset Selection in Damage Location. Inverse Problems in Engineering, 5(3), 1997, 189-215. MI Friswell, DJ Inman & RW Rietz, Active Damping of Thermally Induced Vibration. Journal of Intelligent Material Systems and Structures, 8(8), August 1997, 678-685. U Prells & MI Friswell, On the Partial Derivatives of Repeated Eigenvalues and their Eigenvectors. AIAA Journal, 35(8), August 1997, 1363-1368. JE Mottershead, H Ouyang, MP Cartmell & MI Friswell, Parametric Resonances in an Annular Disc, with a Rotating System of Distributed Mass and Elasticity; and Effects of Friction and Damping. Proceedings of the Royal Society of London, Series A, 453(1956), 1997, 1-19. RW Beaven, MT Wright, & MI Friswell, The Use of Identified Parameter Limits in a Robust Adaptive Controller. Control Engineering Practice, 5(4), 1997, 469-475. JE Mottershead, MI Friswell & YH Zhang, On the Use of Discretization Error Estimates in Finite Element Model Updating. Modal Analysis: The International Journal of Analytical and Experimental Modal Analysis, 11(3&4), December 1996. MI Friswell, JET Penny & SD Garvey, The Application of the IRS and Balanced Realisation Methods to Obtain Reduced Models of Structures with Local Nonlinearities. Journal of Sound and Vibration, 196(4), October 1996, 453-468. MI Friswell, The Derivatives of Repeated Eigenvalues and their Associated Eigenvectors. ASME Journal of Vibration and Acoustics, 118(3), July 1996, 390-397. SD Garvey, JET Penny & MI Friswell, Quantifying the Correlation Between Measured and Computed Mode Shapes. Journal of Vibration and Control, 2(2), May 1996, 123-144. JE Mottershead, MI Friswell, GHT Ng & JA Brandon, Geometric Parameters for Finite Element Model Updating of Joints and Constraints. Mechanical Systems and Signal Processing, 10(2), March 1996, 171-182. RW Beaven, MT Wright, SD Garvey, MI Friswell & DR Seaward, The Application of Gain Scheduling to High Speed Independent Drives. Control Engineering Practice, 3(11), November 1995, 1581-1585. MI Friswell, SD Garvey & JET Penny, Model Reduction using Dynamic and Iterated IRS Techniques. Journal of Sound and Vibration, 186(2), October 1995, 311-323. RW Beaven, LD Wilkes, MT Wright, SD Garvey & MI Friswell, Application of Four Control Strategies to High Speed Independent Drive Systems. Control Engineering Practice, 3(8), August 1995, 1059-1065. MI Friswell, On the Calculation of Second and Higher Order Eigenvector Derivatives. AIAA Journal of Guidance, Control and Dynamics, 18(4), July-August 1995, 919-921. MI Friswell, JET Penny & SD Garvey, Using Linear Model Reduction to Investigate the Dynamics of Structures with Local Non-linearities. Mechanical Systems and Signal Processing, 9(3), May 1995, 317-328. MI Friswell, The Steady State Analysis of Underwater Cables. ASCE Journal of Waterway, Port, Coastal and Ocean Engineering, 121(2), March 1995, 98-104. MI Friswell, JET Penny & DAL Wilson, Using Vibration Data and Statistical Measures to Locate Damage in Structures. Modal Analysis: The International Journal of Analytical and Experimental Modal Analysis, 9(4), October 1994, 239-254. JA Purkiss, M Bailey, MI Friswell, JET Penny & MG Wood, Analysis of the Effect of Ambient Conditions on the Dynamic Response of Prestressed Concrete Bridge Decks. The Structural Engineer, 72(11), June 1994, 178. JA Purkiss, M Bailey, MI Friswell, JET Penny & MG Wood, The Dynamic Response of Prestressed Concrete Bridge Decks. The Structural Engineer, 72(11), June 1994, 178. RW Beaven, LD Wilkes, MT Wright, SD Garvey & MI Friswell, An Adaptive Control System for High Speed Machinery Incorporating H infinity Concepts. IMechE Journal of Systems and Control Engineering, 208(I1), 1994, 43-52. JET Penny, MI Friswell & SD Garvey, The Automatic Choice of Measurement Locations for Dynamic Tests. AIAA Journal, 32(2), February 1994, 407-414. MI Friswell & JET Penny, The Accuracy of Jump Frequencies in Series Solutions of the Response of a Duffing Oscillator. Journal of Sound and Vibration, 169(2), January 1994, 261-269. MI Friswell & JET Penny, Stepped Sine Testing using Recursive Estimation. Mechanical Systems and Signal Processing, 7(6), November 1993, 477-491. JE Mottershead & MI Friswell, Model Updating in Structural Dynamics: A Survey. Journal of Sound and Vibration, 167(2), October 1993, 347-375. MI Friswell & JET Penny, The Choice of Orthogonal Polynomials in the Rational Fraction Polynomial Method. Modal Analysis: The International Journal of Analytical and Experimental Modal Analysis, 8(3), July 1993, 257-262. NG Nalitolela, JET Penny & MI Friswell, Updating Model Parameters by Adding an Imagined Stiffness to the Structure. Mechanical Systems and Signal Processing, 7(2), March 1993, 161-172. MI Friswell & JET Penny, The Effect of Close or Repeated Eigenvalues on the Updating of Model Parameters from FRF Data. ASME Journal of Vibration and Acoustics, 114(4), October 1992, 514-520. Y Benhafsi, JET Penny & MI Friswell, A Parametric Identification Method for Discrete Nonlinear Systems Incorporating Cubic Stiffness Elements. International Journal of Analytical and Experimental Modal Analysis, 7(3), July 1992, 179-195. NG Nalitolela, JET Penny & MI Friswell, A Mass or Stiffness Addition Technique for Structural Parameter Updating. International Journal of Analytical and Experimental Modal Analysis, 7(3), July 1992, 157-168. MI Friswell, Candidate Reduced Order Models for Structural Parameter Estimation. ASME Journal of Vibration and Acoustics, 112(1), January 1990, 93-97. MI Friswell & JET Penny, Stepped Multisine Modal Testing using Phased Components. Mechanical Systems and Signal Processing, 4(2), March 1990, 145-156. MI Friswell & JET Penny, Updating Model Parameters from Frequency Domain Data via Reduced Order Models. Mechanical Systems and Signal Processing, 4(5), September 1990, 377-391. MI Friswell, The Adjustment of Structural Parameters using a Minimum Variance Estimator. Mechanical Systems and Signal Processing, 3(2), April 1989, 143-155. MI Friswell & JE Mottershead, Physical Understanding of Structures by Model Updating. International Conference on Structural System Identification, September 5-7, 2001, Kassel, Germany, 81-96. MI Friswell, Models for the Condition Monitoring of Rotating Machinery. Condition Monitoring 2005, British Institute of Non-Destructive Testing, 18-21 July 2005, Cambridge, UK, 385-392. MI Friswell, JE Mottershead & C Mares, Stochastic Model Updating in Structural Dynamics. Computational Methods in Structural Dynamics and Earthquake Engineering, COMPDYN 2007, Crete, Greece, 13-15 June 2007, paper number 1432. MI Friswell, Inverse Problems in Structural Dynamics. Second International Conference on Multidisciplinary Design Optimization and Applications, 3-5 September 2008, Gijon, Spain. MI Friswell, Concepts for Morphing Aircraft. ICEAE, Bangalore, India, 18-22 May 2009, 1-11. MI Friswell, The Prospects for Morphing Aircraft. Smart Structures and Materials (SMART'09), IV ECCOMAS Thematic Conference, Porto, Portugal, 13-15 July 2009, 175-188. MI Friswell, Hierarchical Models of Morphing Aircraft. 23rd International Conference on Adaptive Structures and Technologies, ICAST, Nanjing, China, 11-13 October 2012. E Chipato, AD Shaw & MI Friswell, Experimental Validation of Internal Resonance of Partial Contacting Cycles in Rotordynamics. IMAC XXXVII, Orlando, Florida, USA, 28-31 January 2019. N Jamia, MI Friswell, S El-Borgi & P Rajendran, Simulating Eddy Current Sensors in Blade Tip Timing Application: Modelling and Experimental Validation. International Mechanical Engineering Congress and Exposition (IMECE), 9-15 November 2018, Pittsburgh, USA, paper IMECE2018-87414. J Zhang, AD Shaw, MR Amoozgar, MI Friswell & BKS Woods, Torsional Negative Stiffness Mechanism for Bidirectional Morphing Aircraft Actuation. 6th Aircraft Structural Design Conference, Bristol, 9-11 October 2018. MR Amoozgar, AD Shaw, J Zhang & MI Friswell, Cross-Sectional Design of a Composite Rotor Blade for Twist Morphing. 6th Aircraft Structural Design Conference, Bristol, 9-11 October 2018. C Wang, H Haddad Khodaparast, MI Friswell, A Magrini, R Ponza, E Benini, V Landersheim, D Laveuve & C Contell Asins, Structural Optimisation of a Morphing Leading Edge. 6th Aircraft Structural Design Conference, Bristol, 9-11 October 2018. MR Amoozgar, AD Shaw, J Zhang & MI Friswell, Twist Morphing of a Hingeless Rotor Blade by using a Moving Mass. 44th European Rotorcraft Forum, 18-20 September 2018, Delft, The Netherlands. S Adhikari & MI Friswell, A Stochastic Multidomain Approach for Mid-frequency Vibration Problems. International Conference on Uncertainty in Structural Dynamics (USD2018), 17-19 September 2018, Leuven, Belgium, 5001-5010. H Jalali, H Haddad Khodaparast & MI Friswell, Identification of a Stochastic Model for Bolted Joints. International Conference on Uncertainty in Structural Dynamics (USD2018), 17-19 September 2018, Leuven, Belgium, 5169-5180. Y Xia, R Zhang, Y Cao & MI Friswell, Suppression of the Wind-induced Vibration of High-rise Buildings with Inerter Systems. International Conference on Noise and Vibration Engineering (ISMA2018), 17-19 September 2018, Leuven, Belgium, 4223-4233. N Jamia, MI Friswell, S El-Borgi & P Rajendran, Blade Tip Timing based Condition Monitoring of Bladed Disks in Rotating Machines. International Conference on Noise and Vibration Engineering (ISMA2018), 17-19 September 2018, Leuven, Belgium, 955-969. AD Shaw, AR Champneys & MI Friswell, Application of the Method of Normal Forms to Rotor Stator Contact Problems. International Conference on Noise and Vibration Engineering (ISMA2018), 17-19 September 2018, Leuven, Belgium, 1979-1992. J Taghipour, H Haddad Khodaparast, MI Friswell, H Jalali, H Madinei & X Wang, Localisation, Characterisation and Identification of Localised Nonlinearity in Structural Dynamics using Base Excitation Frequency Response Functions. International Conference on Noise and Vibration Engineering (ISMA2018), 17-19 September 2018, Leuven, Belgium, 2127-2138. ET Chipato, AD Shaw & MI Friswell, Frictional Effects on the Synchronisation of Partial Contact in Rotating Machinery. International Conference on Noise and Vibration Engineering (ISMA2018), 17-19 September 2018, Leuven, Belgium, 1897-1906. H Madinei, H Haddad Khodaparast, AD Shaw & MI Friswell, Broadening the Frequency Band of a Vibration Based Energy Harvester Using Electromagnetic Devices. VETOMAC XIV - 14th International Conference on Vibration Engineering and Technology of Machinery, 10-13 September 2018, Lisbon, Portugal. MA Maneshi, E Ghavanloo, SA Fazelzadeh, MI Friswell & S Adhikari, Semi-analytical Solution for Postbuckling Behavior of Highly Deformable Nanobeams. International Conference of Mechanical Engineering (ICME18), Imperial College, London, 4-6 July 2018, 757-760. Available online via IAENG website. A Fazelzadeh, M Tashakorian, E Ghavanloo, M Amoozgar & MI Friswell, Non-Conservative Stability Analysis of Hauger Types of Columns with Different Boundary Conditions. International Conference of Mechanical Engineering (ICME18), Imperial College, London, 4-6 July 2018, 640-644. Available online via IAENG website. S El-Borgi, P Rajendran, MI Friswell, M Trabelssi & JN Reddy, Torsional Vibration of Size-dependent Viscoelastic Rods using Nonlocal Strain and Velocity Gradient Theory. 6th European Conference on Computational Mechanics (ECCM 6), 11-15 June 2018, Glasgow. Available online via conference website. V Arora, MI Friswell & S Adhikari, FRF-based Probabilistic Model Updating in Structural Dynamics for Uncertainty Identification and Quantification. 24th International Congress on Sound and Vibration (ICSV24), 23-27 July 2017, London. E Chipato, AD Shaw & MI Friswell, Effect of Gravity on the Nonlinear Dynamics of an Overhung Rotor with Annular Rubs. 9th European Nonlinear Dynamics Conference (ENOC 2017), 25-30 June 2017, Budapest, Hungary. N Jamia, MI Friswell, S El-Borgi & P Rajendran, Coupled Mechanical and Electromagnetic Modeling of Eddy Current Sensors. VII International Conference on Coupled Problems in Science and Engineering, 12-14 June 2017, Rhodes Island, Greece, 357-368. C Wang, H Haddad Khodaparast, MI Friswell & AD Shaw, Morphing Winglets based on Compliant Structures. SMART2017 - 8th ECCOMAS Thematic Conference on Smart Structures and Materials, 5-8 June 2017, Madrid, Spain, 1018-1029. G Martínez Ayuso, H Haddad Khodaparast, Y Zhang, CR Bowen, MI Friswell, AD Shaw & H Madinei, Experimental Validation of a Porous Piezoelectric Energy Harvester. SMART2017 - 8th ECCOMAS Thematic Conference on Smart Structures and Materials, 5-8 June 2017, Madrid, Spain, 630-641. R Castro-Trigeuro, R Sevilla, E García-Macías & MI Friswell, Uncertainty Analysis of Mechanical Behavior of Functionally Graded Carbon Nanotube Composite Materials. IMAC XXXV, Garden Grove, California, USA, 30 January - 2 February 2017. AD Shaw, AR Champneys & MI Friswell, Two-mode Backbone Curves for Analysis of a Rotor-Stator Contact System. 27th International Conference on Noise and Vibration Engineering (ISMA 2016), 19-21 September 2016, Leuven, Belgium, 925-938. H Haddad Khodaparast, S Coggon, MI Friswell & JE Cooper, The Effects of Structural Nonlinearity on the Dynamic Response to Aeroelastic Gust Models. 27th International Conference on Noise and Vibration Engineering (ISMA 2016), 19-21 September 2016, Leuven, Belgium, 471-484. G Martínez Ayuso, MI Friswell, S Adhikari, H Haddad Khodaparast & CA Featherston, Porous Piezoelectric Material for Energy Harvesting. 27th International Conference on Noise and Vibration Engineering (ISMA 2016), 19-21 September 2016, Leuven, Belgium, 705-715. Y Chen, A Linderholt, T Abrahamsson, Y Xia & MI Friswell, Validation of a Model Calibration Method through Vibrational Testing of a Mechanical System with Local Clearance. 27th International Conference on Noise and Vibration Engineering (ISMA 2016), 19-21 September 2016, Leuven, Belgium, 2581-2595. E Jacquelin, MI Friswell, S Adhikari, O Dessombz & J-J Sinou, Polynomial Chaos Expansion with Fuzzy and Random Uncertainties in Dynamical Systems. 6th International Conference on Uncertainty in Structural Dynamics (USD 2016), 19-21 September 2016, Leuven, Belgium, 4295-4306. H Madinei, H Haddad Khodaparast, MI Friswell & S Adhikari, Improving Performance of MEMS Piezoelectric Harvesters in the Presence of Manufacturing Uncertainties. 6th International Conference on Uncertainty in Structural Dynamics (USD 2016), 19-21 September 2016, Leuven, Belgium, 4379-4390. AD Shaw, AR Champneys & MI Friswell, Rotor-stator Contact in Multiple Degree of Freedom Systems. Vibrations in Rotating Machinery, VIRM 11, Manchester, 13-15 September 2016, 831-840. N Jamia, MI Friswell & S El-Borgi, The Effect of Sensor Characteristics on Blade Tip Timing Measurements. Vibrations in Rotating Machinery, VIRM 11, Manchester, 13-15 September 2016, 299-307. MI Friswell & JET Penny, Reduced Order Models for Non-linear Rotating Machines. Vibrations in Rotating Machinery, VIRM 11, Manchester, 13-15 September 2016, 105-117. PV Malaji, SF Ali, S Adhikari & MI Friswell, Analysis of Harvesting Energy from Multiple Harvesters with and without Coupling. 12th International Conference on Vibration Problems (ICOVP-2015), Guwahati, India, 14-17 December 2015. Procedia Engineering, 144, 2016, 621-628, DOI: 10.1016/j.proeng.2016.05.052. A Syta, G Litak, MI Friswell & M Borowiec, Multiple Solutions and Corresponding Power Output of Nonlinear Piezoelectric Energy Harvester. 13th International Conference on Dynamical Systems - Theory and Applications, 7-10 December 2015, Lodz, Poland. Springer Proceedings in Mathematics & Statistics, 182, 343-350, DOI: 10.1007/978-3-319-42408-8_27. BKS Woods & MI Friswell, Compliant Morphing Flap Transition. ICAST, Kobe, Japan, 14-16 October 2015. E Jacquelin, S Adhikari, J-J Sinou & MI Friswell, Chaos Polynomiaux et Systèmes Dynamiques sous Sollicitation Harmonique. Congrès Français de Mécanique, Lyon, France, 24-28 August 2015. C Wang, H Haddad Khodaparast & MI Friswell, Investigating the Benefits of Morphing Wing Tip Devices - A Case Study. International Forum on Aeroelasticity and Structural Dynamics IFASD-2015, Saint Petersburg, Russia, 28 June - 2 July 2015, paper IFASD-2015-018. MI Friswell & JET Penny, Model Reduction for Non-linear Rotating Machines. ICEDyn 2015, 22-24 June 2015, Lagos, Algarve, Portugal, paper 64. V Arora, S Adhikari & MI Friswell, FRF-based Finite Element Model Updating Method for Non-viscous and Non-proportional Damped System. ICEDyn 2015, 22-24 June 2015, Lagos, Algarve, Portugal, paper 29. WG Charles, P Mahmoodi, RS Ransing, I Sazonov & MI Friswell, Comparison of the Lagrangian Approach for Modelling the Heel-to-Toe Contact in Passive Dynamic Walkers with the Discrete Pivot Point Method. 23rd UK Conference of the Association for Computational Mechanics in Engineering, 8-10 April 2015, Swansea, 67-70. RM Ajaj, M Bourchak & MI Friswell, Span Morphing using the GNAT Spar for a Mini-UAV: Designing and Testing. 4th RAeS Aircraft Structural Design Conference, Belfast, 7-9 October 2014. SM Murugan, JHS Fincham, MI Friswell & DJ Inman, Aeroelastic Modeling of Morphing Aircraft Wings. 4th RAeS Aircraft Structural Design Conference, Belfast, 7-9 October 2014. AD Shaw, BKS Woods, EA Bubert & MI Friswell, Modelling of an Elastomeric Composite Skin for a Span-Morphing Aircraft Wing. ICAST, The Hague, The Netherlands, 6-8 October 2014, Paper ID 034. H Haddad Khodaparast, Y Govers, S Adhikari, M Link, MI Friswell, JE Mottershead & J Sienz, Fuzzy Model Updating and its Application to the DLR AIRMOD Test Structure. USD 2014, Leuven, Belgium, 15-17 September 2014, 4509-4522. Z Huang, CP Zang & MI Friswell, Parameter Identification of a Printed Circuit Board Structure using Model Updating and Scanning Laser Vibrometer Measurements. ISMA 2014, Leuven, Belgium, 15-17 September 2014, 2679-2690. H Miao, CP Zang & MI Friswell, Model Updating and Validation of a Dual-Rotor System. ISMA 2014, Leuven, Belgium, 15-17 September 2014, 2723-2737. A Kundu & MI Friswell, Shape Optimization of Randomly Parametrized Corrugated Panels using Sensitivity Analysis. USD 2014, Leuven, Belgium, 15-17 September 2014, 4645-4657. AD Shaw, SA Neild & MI Friswell, Nonlinear Vibration Isolators with Static Loading Errors and Asymmetric Stiffness. ISMA 2014, Leuven, Belgium, 15-17 September 2014, 1219-1232. K Vijayan, N Vlajic & MI Friswell, The Influence of Drillstring-Borehole Interaction on Backward Whirl. ISMA 2014, Leuven, Belgium, 15-17 September 2014, 1275-1288. R Castro-Triguero, MI Friswell & R Gallego, Optimal Sensor Placement for Detection of Non-linear Structural Behavior. ISMA 2014, Leuven, Belgium, 15-17 September 2014, 3033-3043. JHS Fincham, CS Beaverstock, AB Coles, LL Parsons, MI Friswell & RM Ajaj, Aerodynamic Forces on Morphing Wings during Span Extension. Royal Aeronautical Society Applied Aerodynamics Research Conference, Bristol, 22-24 July 2014. BKS Woods, JHS Fincham & MI MI Friswell, Aerodynamic Modelling of the Fish Bone Active Camber Morphing Concept. Royal Aeronautical Society Applied Aerodynamics Research Conference, Bristol, 22-24 July 2014. U Kling, AT Isikveren, RM Ajaj & MI Friswell, Adaptive C-Wing Flight Controls for a Universally Electric Aircraft. Royal Aeronautical Society Applied Aerodynamics Research Conference, Bristol, 22-24 July 2014. BKS Woods & MI Friswell, Fluid-Structure-Actuator Optimization of the Fish Bone Active Camber Mechanism. 24th International Conference on Adaptive Structures and Technologies, ICAST, Aruba, 7-9 October 2013. I Dayyani, BKS Woods, MI Friswell & H Haddad Khodaparast, The Optimal Design of a Coated Corrugated Skin for the FishBAC Morphing Wing. 24th International Conference on Adaptive Structures and Technologies, ICAST, Aruba, 7-9 October 2013. CS Beaverstock, RM Ajaj, MI Friswell, R de Breuker & NPM Werter. Optimising Mission Performance for a Morphing MAV. 7th Ankara International Aerospace Conference, AIAC2013, 11-13 September, Ankara, Turkey, paper AIAC-2013-113. RM Ajaj, AJ Keane, CS Beaverstock, MI Friswell & DJ Inman, Morphing Aircraft: The Need for a New Design Philosophy. 7th Ankara International Aerospace Conference, AIAC2013, 11-13 September, Ankara, Turkey, paper AIAC-2013-054. JP Jackson, MI Friswell & RM Ajaj, Design of a Deployable UAV. 7th Ankara International Aerospace Conference, AIAC2013, 11-13 September, Ankara, Turkey, paper AIAC-2013-042. BKS Woods & MI Friswell, Structural Analysis of the Fish Bone Active Camber Concept. AIDAA XXII Conference, Naples, Italy, 9-12 September 2013. AF Arrieta, O Bilgen, MI Friswell & P Ermanni, Control Authority Optimisation for Resonant Morphing Control of Bi-Stable Wing-Shaped Composites. 19th International Conference on Composite Materials, 28 July - 2 August 2013, Montreal, Canada. AF Arrieta, O Bilgen, MI Friswell & P Ermanni, Dynamic Response Modelling and Aerodynamic Study for a Piezoelectric Cantilevered Bi-stable Composite. 23rd International Conference on Adaptive Structures and Technologies, ICAST, Nanjing, China, 11-13 October 2012. BKS Woods, O Bilgen & MI Friswell, Wind Tunnel Testing of the Fish Bone Active Camber Morphing Concept. 23rd International Conference on Adaptive Structures and Technologies, ICAST, Nanjing, China, 11-13 October 2012. Y Xia, O Bilgen & MI Friswell, The Effect of Corrugated Skins on Aerodynamic Performance. 23rd International Conference on Adaptive Structures and Technologies, ICAST, Nanjing, China, 11-13 October 2012. O Bilgen & MI Friswell, Piezoceramic Composite Actuators for a Solid-State Variable-Camber Wing. 23rd International Conference on Adaptive Structures and Technologies, ICAST, Nanjing, China, 11-13 October 2012. RM Ajaj, EI Saavedra Flores, MI Friswell, BKS Woods, WG Dettmer, G Allegri & AT Isikveren, Structural Design and Modelling of the Zigzag Wingbox for Span Morphing Wing. 3rd RAeS Aircraft Structural Design Conference, Delft, Netherlands, 9-11 October 2012. DD Smith, MH Lowenberg, DP Jones & MI Friswell, Computational and Experimental Validation of the Active Morphing Wing Concept. 28th Congress of the International Council of the Aeronautical Sciences, Brisbane, Australia, 23-28 September 2012. CP Zang, SC Ma & MI Friswell, Structural Model Updating with an Improved Parameter Selection Method. ISMA2012, Leuven, Belgium, 17-19 September 2012, 2227-2236. Y Xia & MI Friswell, Efficient Solution of the Fuzzy Eigenvalue Problem in Structural Dynamics. USD2012 International Conference on Uncertainty in Structural Dynamics, Leuven, Belgium, 17-19 September 2012, 4885-4896. MI Friswell, EI Saavedra Flores & Y Xia, Vibration Isolation using Nonlinear Springs. ISMA2012, Leuven, Belgium, 17-19 September 2012, 2333-2342. AW Lees, MI Friswell & G Litak, Torsional Vibration of Machines with Gear Errors. Tenth International Conference on Vibrations in Rotating Machinery, 11-13 September 2012, London, 789-798. FA Diaz De la O, S Adhikari & MI Friswell, Bayesian Assimilation of Multi-fidelity Stochastic Finite Element Models. 6th European Congress on Computational Methods in Applied Sciences and Engineering (ECCOMAS 2012), Vienna, Austria, 10-14 September 2012. MS Murugan, BKS Woods & MI Friswell, Morphing Helicopter Rotor Blade with Curvilinear Fiber Composites. 38th European Rotorcraft Forum, 4-7 September 2012, Amsterdam, Netherlands. EI Saavedra Flores & MI Friswell, Deformation Mechanisms of Wood at the Ultrastructural Scale. Advanced Problems in Mechanics - 2012, 2-8 July 2012, St. Petersburg, Russia. G Litak, MI Friswell, CK Kwuimy, S Adhikari & Marek Borowiec, Energy Harvesting by Two Magnetopiezoelastic Oscillators. 11th Conference on Dynamical Systems Theory and Applications, 5-8 December 2011, Lodz, Poland. AF Arrieta, O Bilgen, MI Friswell & P Hagedorn, Morphing Dynamic Control for Bi-stable Composites. 22nd International Conference on Adaptive Structures and Technologies (ICAST), 10-12 October 2011, Corfu, Greece. RM Ajaj, MI Friswell, WG Dettmer, G Allegri & AT Isikveren, Dynamic Modelling of an Adaptive Torsion Wing. 22nd International Conference on Adaptive Structures and Technologies (ICAST), 10-12 October 2011, Corfu, Greece. RM Ajaj, MI Friswell, WG Dettmer, G Allegri & AT Isikveren, Performance and Control Optimizations of a UAV using the Adaptive Torsion Wing Concept. 22nd International Conference on Adaptive Structures and Technologies (ICAST), 10-12 October 2011, Corfu, Greece. MI Friswell, S Adhikari & SF Ali, Energy Harvesting from Ambient Excitation. EuroMech Colloquium on Structural Control and Energy Harvesting, 25-27 July 2011, Bristol. A Potrykus, S Adhikari & MI Friswell, Magnetopiezoelastic Energy Harvesting Driven by Stochastic Jump Processes. ENOC 2011, 24-29 July 2011, Rome, Italy. LM Griffiths, DP Jones & MI Friswell, Model Updating of Dynamically Time Linear Reduced Order Models. 15th International Forum on Aeroelasticity and Structural Dynamics, 26-30 June 2011, Paris, France. LM Griffiths, DP Jones & MI Friswell, Pulse Input Sizing for Constructing Reduced Order Models of the Euler Equations. 15th International Forum on Aeroelasticity and Structural Dynamics, 26-30 June 2011, Paris, France. S Barbarino, WG Dettmer & MI Friswell, Morphing Trailing Edges with Shape Memory Alloy Rods. 21st International Conference on Adaptive Structures and Technologies (ICAST), State College, Pennsylvania, USA, 4-6 October 2010. B Titurus & MI Friswell, Second Order Approximations in Model Updating. ISMA 2010, Leuven, Belgium, 20-22 September 2010, 2701-2712. MI Friswell, G Litak & JT Sawicki, Crack Identification in Rotating Machines with Active Bearings. ISMA 2010, Leuven, Belgium, 20-22 September 2010, 2843-2855. JET Penny, MI Friswell & DJ Inman, Efficient Frequency Analysis for Wireless Structural Health Monitoring Systems. ISMA 2010, Leuven, Belgium, 20-22 September 2010, 1071-1081. S Adhikari, R Chowdhury & MI Friswell, Fuzzy Finite Element Analysis using High Dimensional Model Representation. International Conference on Uncertainty in Structural Dynamics, USD 2010, Leuven, Belgium, 20-22 September 2010, 4993-5006. DD Smith, AT Isikveren, RM Ajaj & MI Friswell, Multidisciplinary Design Optimization of an Active Nonplanar Polymorphing Wing. 27th Congress of the International Council of the Aeronautical Sciences, Nice, France, 19-24 September 2010, paper ICAS2010-1.5ST1. MI Friswell & S Adhikari, Sensor Design for Piezoelectric Cantilever Beam Energy Harvesters. International Conference on Recent Advances in Structural Dynamics, Southampton, 12-14 July 2010, paper 140. P Mahmoodi, RS Ransing & MI Friswell, Understanding the Influence of Input Variables on the Stability of a Two Linked Robot. UK National Conference on Computational Mechanics in Engineering, Southampton University, 29-31 March 2010. MI Friswell & S Adhikari, Structural Health Monitoring of Beam Structures using Shaped Sensors. ICEAE, Bangalore, India, 18-22 May 2009, 693-699. NA Ameri, MI Friswell, MH Lowenberg & E Livne, Integrated Equivalent Plate Based Aeroservoelastic Models for Strain Actuated Composite Lifting Surface / Control Surface Configurations. 50th AIAA/ASME/ASCE/AHS/ASC Structures, Structural Dynamics, and Materials Conference, Palm Springs, 4-7 May 2009, paper number AIAA 2009-2137. MI Friswell & S Adhikari, Structural Health Monitoring using Shaped Sensors. 50th AIAA/ASME/ASCE/AHS/ASC Structures, Structural Dynamics, and Materials Conference, Palm Springs, 4-7 May 2009, paper number AIAA 2009-2379. L Mthembu, T Marwala, MI Friswell & S Adhikari, Bayesian Evidence for Finite Element Model Updating. IMAC XXVII, Orlando, Florida, 9-12 February 2009. M Abdelghani & MI Friswell, Estimation of Modal Parameter Uncertainties using Stochastic Subspace Algorithms. Fourth International Conference on Advances in Mechanical Engineering and Mechanics, Sousse, Tunisia, 16-18 December 2008. MI Friswell & S Adhikari, Shaped Modal Sensors for Uncertain Dynamical Systems. IUTAM Symposium on Multi-functional Material Structures, MMSS08, Bangalore, India, 10-13 December 2008. Republished by Springer in IUTAM Bookseries, Volume 19, 187-197. DOI: 10.1007/978-90-481-3771-8_19. P Bourdin & MI Friswell, Virtual Shape Definition of a Very Low Reynolds Number Airfoil Using Vortex Shedding. RAeS Conference on the Aerodynamics of Novel Configurations: Capabilities and Future Requirements, 27-28 October 2008. NA Ameri, MI Friswell, MH Lowenberg & E Livne, Modelling Continuously Morphing Aircraft for Flight Control. 19th International Conference on Adaptive Structures and Technologies (ICAST), Ascona, Switzerland, 6-9 October 2008. D Baker & MI Friswell, The Design of Morphing Aerofoils using Compliant Mechanisms. 19th International Conference on Adaptive Structures and Technologies (ICAST), Ascona, Switzerland, 6-9 October 2008. JJ Scholey, PD Wilcox, MR Wisnom & MI Friswell, A Framework for Modelling the Complete AE Process in Composite Materials. 28th European Conference on Acoustic Emission Testing, Krakow, Poland, 17-19 September 2008, 268-273. JJ Scholey, PD Wilcox, MR Wisnom & MI Friswell, Two-dimensional Source Location Techniques for Large Composite Plates. 28th European Conference on Acoustic Emission Testing, Krakow, Poland, 17-19 September 2008, 160-165. A Carrella, MI Friswell, A Pirrera & GS Aglietti, Numerical and Experimental Analysis of a Square Bistable Plate. ISMA 2008, International Conference on Noise and Vibration Engineering, 15-17 September 2008, Leuven, Belgium, 3433-3440. B Titurus & MI Friswell, Regularization for Symmetric and Almost Symmetric Systems in Model Updating. ISMA 2008, International Conference on Noise and Vibration Engineering, 15-17 September 2008, Leuven, Belgium, 1911-1922. Y Xia, ZP Qiu & MI Friswell, The Dynamic Response of Structures with Bounded Uncertainties. ISMA 2008, International Conference on Noise and Vibration Engineering, 15-17 September 2008, Leuven, Belgium, 3963-3974. DJ Rodrigues, AR Champneys, MI Friswell & RE Wilson, Device Asymmetries and the Effect of the Rotor Run-up in a Two-Plane Automatic Ball Balancing System. 9th International Conference on Vibrations in Rotating Machinery, Exeter, 9-11 September 2008, 899-907. MI Friswell, YY He, JET Penny & JT Sawicki, Detecting Cracked Rotors using an Active Magnetic Actuator. 9th International Conference on Vibrations in Rotating Machinery, Exeter, 9-11 September 2008, 645-656. SD Garvey, JET Penny, MI Friswell & AW Lees, Coupling between Rotor Planes due to Deformations of Components having a Helical Direction. 9th International Conference on Vibrations in Rotating Machinery, Exeter, 9-11 September 2008, 255-266. JE Herencia, PM Weaver & MI Friswell, A Fast Optimization Technique for Preliminary Sizing of Anisotropic Composite Stiffened Panels. Second International Conference on Buckling and Postbuckling Behaviour of Composite Laminated Shell Structures, Braunschweig, Germany, 3-5 September 2008. MI Friswell, JE Herencia, D Baker & PM Weaver, The Optimisation of Hierarchical Structures with Applications to Morphing Aircraft. Second International Conference on Multidisciplinary Design Optimization and Applications, 3-5 September 2008, Gijon, Spain. NA Ameri, E Livne, MH Lowenberg & MI Friswell, Modelling Continuously Morphing Aircraft for Flight Control. AIAA Guidance, Navigation and Control Conference, Honolulu, Hawaii, USA, 18-21 August 2008, paper number AIAA 2008-6966. PD Wilcox, JJ Scholey, MR Wisnom & MI Friswell, Modelling and Quantification of Acoustic Emission Testing. Fifth International Conference on Condition Monitoring and Machinery Failure Prevention Technologies, Edinburgh, 15-18 July 2008. JE Herencia, RT Haftka, PM Weaver & MI Friswell, Optimization of Anisotropic Composite Panels with T-Shaped Stiffeners using Linear Approximations of the Design Constraints to Identify their Stacking Sequences. 7th International ASMO-UK/ISSMO Conference on Engineering Design Optimization, Bath, 7-8 July 2008. A Carrella, F Mattioni, AA Diaz, MI Friswell, DJ Wagg & PM Weaver, Static and Dynamic Analysis of a Bistable Plate for Application in Morphing Structures. 7th European Conference on Structural Dynamics, EURODYN 2008, Southampton, 7-9 July 2008, paper 213. B Titurus & MI Friswell, Analysis of Regularisation in Model Updating. 7th European Conference on Structural Dynamics, EURODYN 2008, Southampton, 7-9 July 2008, paper 210. QL Hu & MI Friswell, Adaptive Attitude Tracking Control with L2-gain Performance for an Orbiting Flexible Spacecraft. 17th IFAC World Congress, Seoul, Korea, 6-11 July 2008, 13235-13240. QL Hu & MI Friswell, Adaptive Sliding Mode Attitude and Vibration Control of Flexible Spacecraft Under Unknown Disturbance and Uncertainty. 17th IFAC World Congress, Seoul, Korea, 6-11 July 2008, 9871-9876. JT Sawicki, MI Friswell & GY Baaklini, Rotor Crack Detection using Induced Combination Resonances. 4th European Workshop on Structural Health Monitoring, 2-4 July 2008, Cracow, Poland, 142-149. DJ Rodrigues, AR Champneys, MI Friswell & RE Wilson, A Consideration of Support Asymmetry in an Automatic Ball Balancing System. Sixth EUROMECH Nonlinear Dynamics Conference, ENOC-2008, Saint Petersburg, Russia, 30 June ñ 4 July 2008. A Carrella & MI Friswell, A Passive Vibration Isolator Incorporating a Composite Bistable Plate. Sixth EUROMECH Nonlinear Dynamics Conference, ENOC-2008, Saint Petersburg, Russia, 30 June - 4 July 2008. JE Herencia, PM Weaver & MI Friswell, Closed Form Solutions for Buckling of Long Anisotropic Plates with Simply Supported and Clamped Boundary Conditions under Axial Compression. Fifth International Conference on Thin-walled Structures, Brisbane, Australia, 18-20 June 2008. C Zhou, MI Friswell & J Li, Condition Monitoring of Cracked Shaft using Active Magnetic Bearings. International Conference on Power Engineering, Hangzhou, China, 23-27 October 2007, 494-504. DOI: 10.1007/978-3-540-76694-0_91. NM Ursache, T Melin, AT Isikveren & MI Friswell, Morphing Winglets for Aircraft Multi-phase Improvement. 7th AIAA Aviation Technology, Integration and Operations Conference (ATIO), Belfast, 18-20 September 2007, paper AIAA-2007-7813. T Melin, AT Isikveren & MI Friswell, Cost Appreciation of Morphing UAV Projects at a Conceptual Design Stage. 1st International CEAS European Air and Space Conference, Berlin, Germany, 10-13 September 2007. NA Ameri, MH Lowenberg & MI Friswell, Modelling the Dynamic Response of a Morphing Wing with Active Winglets. AIAA Atmospheric Flight Mechanics Conference, Hilton Head, South Carolina, USA, 20-23 August 2007, paper AIAA-2007-6500. JE Herencia, PM Weaver & MI Friswell, Optimisation of Anisotropic Plates that Vary in Thicknesses and Properties. 16th International Conference on Composite Materials, Kyoto, Japan, 8-13 July 2007. P Bourdin, A Gatto & MI Friswell, Potential of Articulated Split Wingtips for Morphing-Based Control of a Flying Wing. 25th AIAA Applied Aerodynamics Conference, Miami, Florida, 25-28 June 2007, paper AIAA-2007-4443. S Adhikari, MI Friswell & KP Lonkar, Uncertainty in Structural Dynamics: Experimental Case Studies on Beams and Plates. Computational Methods in Structural Dynamics and Earthquake Engineering, COMPDYN 2007, Crete, Greece, 13-15 June 2007, paper number 1308. MI Friswell, ZP Qiu and F Zhang, The Determination of Convex Sets of Uncertainty in Structural Dynamics. 1st International Conference on Uncertainty in Structural Dynamics, Sheffield, 11-13 June 2007, 179-188. JE Herencia, PM Weaver & MI Friswell, Initial Sizing Optimisation of Anisotropic Composite Panels with T Shape Stiffeners. 66th International Conference on Mass Properties, Madrid, Spain, 28-30 May 2007, paper number 3410. NAJ Lieven, J Coote, MI Friswell, C Hatch, GW Skingle & CH Greaves, Refinement of Dynamic Finite Element Models from the GARTEUR AG14 Collaborative Programme. 48th AIAA/ASME/ASCE/AHS/ASC Structures, Structural Dynamics, and Materials Conference, Waikiki, Hawaii, 23-26 April 2007, paper AIAA-2007-2065. F Mattioni, PM Weaver, MI Friswell & KD Potter, Modelling and Applications of Thermally Induced Multistable Composites with Piecewise Variation of Lay-up in the Planform. 48th AIAA/ASME/ASCE/AHS/ASC Structures, Structural Dynamics, and Materials Conference, Waikiki, Hawaii, 23-26 April 2007, paper AIAA-2007-2262. JE Herencia, PM Weaver & MI Friswell, Morphing Wing Design via Aeroelastic Tailoring. 48th AIAA/ASME/ASCE/AHS/ASC Structures, Structural Dynamics, and Materials Conference, Waikiki, Hawaii, 23-26 April 2007, paper AIAA-2007-2217. JE Herencia, PM Weaver & MI Friswell, Local Optimisation of Anisotropic Composite Panels with T Shape Stiffeners. 48th AIAA/ASME/ASCE/AHS/ASC Structures, Structural Dynamics, and Materials Conference, Waikiki, Hawaii, 23-26 April 2007, paper AIAA-2007-2214. RN Merce, GN Doz, JLV de Brito, JHG Macdonald & MI Friswell, Finite Element Model Updating of a Suspension Bridge using ANSYS Software. Inverse Problems, Design and Optimization Symposium, Miami, Florida, USA, 16-18 April 2007, paper 73. MI Friswell & S Adhikari, Non-local Models of Stiffness and Damping. International Conference on Engineering Dynamics (ICED 2007), 16-18 April 2007, Praia do Carvoeiro, Algarve, Portugal. JET Penny & MI Friswell, The Dynamics of Cracked Rotors. 25th IMAC, Orlando, Florida, USA, 19-22 February 2007, paper 198. MI Friswell & JET Penny, Shaped Sensors for Vibration Control and Health Monitoring. 25th IMAC, Orlando, Florida, USA, 19-22 February 2007, paper 193. S Adhikari, K Lonkar & MI Friswell, Experimental Case Studies on Uncertainty Quantification in Structural Dynamics. 25th IMAC, Orlando, Florida, USA, 19-22 February 2007, paper 174. F Mattioni, PM Weaver, KD Potter & MI Friswell, The Analysis of Cool-down and Snap-through of Cross-ply Laminates used as Multi-stable Structures. Twentieth ABAQUS UK User Group Conference, Manchester, 15-16 November 2006. MI Friswell, D Baker, JE Herencia, F Mattioni & PM Weaver, Compliant Structures for Morphing Aircraft. 17th International Conference on Adaptive Structures and Technologies (ICAST), Taipei, Taiwan, 16-19 October 2006, 17-24. D Baker & MI Friswell, Optimisation of Compliant Structures for Aircraft Wing Morphing. CANSMART 2006: International Workshop on Smart Materials and Structures, Toronto, Ontario, Canada, 12-13 October 2006. CK Lee, JJ Scholey, PD Wilcox, MR Wisnom, MI Friswell & BW Drinkwater, Acoustic Emission during Fatigue Crack Growth in Aluminium Plates. European Conference on Nondestructive Testing, 25-29 September 2006, Berlin, Germany. K Green, MI Friswell, AR Champneys & NAJ Lieven, The Stability of Automatic Ball Balancers. 7th International Conference on Rotor Dynamics, IFToMM, 25-28 September 2006, Vienna, Austria, paper 74. JET Penny, MI Friswell & C Zhou, Condition Monitoring of Rotating Machinery using Active Magnetic Bearings. ISMA 2006, Leuven, Belgium, 18-20 September 2006, 3497-3506. MI Friswell, JT Sawicki, DJ Inman & AW Lees, The Response of Rotating Machines on Viscoelastic Supports. ISMA 2006, Leuven, Belgium, 18-20 September 2006, 3631-3642. C Mares, B Dratz, JE Mottershead & MI Friswell, Model Updating using Bayesian Estimation. ISMA 2006, Leuven, Belgium, 18-20 September 2006, 2607-2616. C Hatch, GW Skingle, CH Greaves, NAJ Lieven, JE Coote, MI Friswell, JE Mottershead, H Shaverdi, C Mares, A McLaughlin, M Link, N Piet-Lahanier, M H Van Houten, D Goege & H Rottmayr, Methods for Refinement of Structural Finite Element Models: Summary of the Garteur AG14 Collaborative Programme. 32nd European Rotorcraft Forum, ERF 2006, Maastricht, Netherlands, 12-14 September 2006. JJ Scholey, PD Wilcox, CK Lee, MR Wisnom & MI Friswell, Acoustic Emission Considerations in Narrow Composite Specimen Testing. 12th European Conference on Composite Materials, 29 August ñ 1 September 2006, Biarritz, France. PD Wilcox, CK Lee, JJ Scholey, MR Wisnom, MI Friswell & BW Drinkwater, Quantification of Acoustic Emission from Crack Growth in Plate Structures. Annual Review of Progress in Quantitative Nondestructive Evaluation, Portland, Oregon, 30 July ñ 4 August 2006, Vol. 26B, 1493-1500. P Bourdin, A Gatto & MI Friswell, The Application of Variable Cant Angle Winglets for Morphing Aircraft Control. 24th AIAA Applied Aerodynamics Conference, San Francisco, California, 5-8 June 2006. Y Lei, MI Friswell & S Adhikari, Finite Element Analysis of Beams with Nonlocal Foundations. 47th AIAA/ASME/ASCE/AHS/ASC Structures, Structural Dynamics, and Materials Conference, Newport, Rhode Island, 1-4 May 2006, paper AIAA-2006-1742. F Mattioni, A Gatto, PM Weaver, MI Friswell & KD Potter, The Application of Residual Stress Tailoring of Snap-through Composites for Variable Sweep Wings. 14th AIAA/ASME/AHS Adaptive Structures Conference, Newport, Rhode Island, 1-4 May 2006, paper AIAA-2006-1972. JE Herencia, PM Weaver & MI Friswell, Local Optimisation of Long Anisotropic Laminated Fibre Composite Panels with T Shape Stiffeners. 47th AIAA/ASME/ASCE/AHS/ASC Structures, Structural Dynamics, and Materials Conference, Newport, Rhode Island, 1-4 May 2006, paper AIAA-2006-2171. MI Friswell & DJ Inman, Morphing Concepts for UAVs. 21st International Unmanned Air Vehicle Systems Conference, Bristol, UK, 3-5 April 2006, paper 13. F Mattioni, PM Weaver & MI Friswell, Multi-Stable Composites Application Concept for Morphing Aircraft. International Conference on Adaptive Structures and Technologies (ICAST), Paris, France, 9-12 October 2005, 45-52. AW Lees, MI Friswell, JK Sinha & I Ashmore, Estimating Bearing Static Load Distribution in Multi-Bearing Machines. International Symposium on Stability Control of Rotating Machinery, ISCORMA-3, 19-23 September 2005, Cleveland, USA. D Baker, MI Friswell & NAJ Lieven, Active Truss Structures for Wing Morphing, ECCOMAS Thematic Conference on Smart Structures and Materials, 18-21 July 2005, Lisbon, Portugal. X Wu, JT Sawicki, MI Friswell & GR Baaklini, Finite Element Analysis of Coupled Lateral and Torsional Vibrations of a Rotor with Multiple Cracks. IGTI/ASME TURBO Expo, Reno, USA, June 2005, paper GT2005-68839. JR Fonseca, MI Friswell, JE Mottershead, AW Lees & S Adhikari, Uncertainty Quantification using Maximum Likelihood: Experimental Validation. 7th AIAA Non-Deterministic Approaches Forum, Austin, Texas, 18-21 April 2005, paper 2005-21431. S Adhikari, Y Lei & MI Friswell, Dynamics of Non-viscously Damped Distributed Parameter Systems. 46th AIAA/ASME/ASCE/AHS/ASC Structures, Structural Dynamics, and Materials Conference, Austin, Texas, 18-21 April 2005, paper 2005-1951. JE Mottershead, S James, C Mares, MI Friswell, H Ahmadian & CA Reece, Modelling and Updating of Joints and Connections. 23rd IMAC, Orlando, Florida, USA, 31 January - 3 February 2005, paper 87. C Mares, JE Mottershead & MI Friswell, Inverse Propagation and Identification of Random Parameters in Model Updating. 23rd IMAC, Orlando, Florida, USA, 31 January - 3 February 2005, paper 200. JE Mottershead, C Mares, S James & MI Friswell, Application of Stochastic Model Updating to a Collection of Structures with Spot-Welded Joints. 23rd IMAC, Orlando, Florida, USA, 31 January - 3 February 2005, paper 151. MI Friswell, JE Coote, MJ Terrell, S Adhikari, JR Fonseca & NAJ Lieven, Experimental Data for Uncertainty Quantification. 23rd IMAC, Orlando, Florida, USA, 31 January - 3 February 2005, paper 201. AW Lees, ED Price & MI Friswell, Identification of Rotor Dynamic Machinery - A Laboratory Trial. 23rd IMAC, Orlando, Florida, USA, 31 January - 3 February 2005, paper 171. J Etches, J Scholey, G Williams, IP Bond, P Mellor & MI Friswell & NAJ Lieven, Exploiting Functional Fibres in Advanced Composite Materials International Conference on Adaptive Structures and Technologies (ICAST), Bar Harbor, Maine, 24-27 October 2004. C Mares, JE Mottershead & MI Friswell, Stochastic Model Updating of a Spot Welded Structure. ISMA 2004, Leuven, Belgium, September 2004, 1885-1898. MJ Terrell, MI Friswell & NAJ Lieven, Constrained Generic Substructure Transformations. ISMA 2004, Leuven, Belgium, September 2004, 1263-1275. JR Fonseca, MI Friswell & AW Lees, Uncertainty Identification and Robust Design. ISMA 2004, Leuven, Belgium, September 2004, 3267-3272. B Titurus & MI Friswell, The Detection of Damage in Joints of Mechanical Structures. ISMA 2004, Leuven, Belgium, September 2004, 545-559. MI Friswell, U Prells & JET Penny, Determining Uncertainty Bounds for Eigenvalues. ISMA 2004, Leuven, Belgium, September 2004, 3055-3064. SD Garvey, JET Penny, MI Friswell & AW Lees, The Stiffening Effect of Laminated Rotor Cores on Flexible-Rotor Electrical Machines. 8th International Conference on Vibrations in Rotating Machinery, Swansea, 7-9 September 2004, 193-202. R Tiwari, AW Lees & MI Friswell, Experimental Estimation of Bearings Dynamic Parameters from Rundown Data. 8th International Conference on Vibrations in Rotating Machinery, Swansea, 7-9 September 2004, 393-402. AW Lees, ED Price & MI Friswell, Identification of Rotor Dynamic Machinery - A Laboratory Trial. 8th International Conference on Vibrations in Rotating Machinery, Swansea, 7-9 September 2004, 373-382. JET Penny, MI Friswell, AW Lees & SD Garvey, A Simple but Versatile Rotor System. 8th International Conference on Vibrations in Rotating Machinery, Swansea, 7-9 September 2004, 269-280. JR Fonseca, AW Lees & MI Friswell, Uncertainty Quantification Using Measured Vibration Data. ASCE Joint Specialty Conference on Probabilistic Mechanics and Structural Reliability, Albuquerque, New Mexico, July 2004. H Cao, H Yang, MI Friswell & S Bai, The Analysis of Earthquake Waves based on the Nonlinear Response of Structures. 7th Biennial ASME Conference on Engineering Systems Design and Analysis, ESDA, Manchester, July 2004, paper number 58253. MI Friswell, JR Fonseca, JE Mottershead & AW Lees, Quantification of Uncertainty Using Inverse Methods. 6th AIAA Non-Deterministic Approaches Forum, Palm Springs, California, April 2004, paper AIAA 2004-1672. S Adhikari & MI Friswell, Random Eigenvalue Problems in Structural Dynamics. 6th AIAA Non-Deterministic Approaches Forum, Palm Springs, California, April 2004, paper number AIAA 2004-1747. ED Price, AW Lees & MI Friswell, Detection of Severe Sliding and Pitting Fatigue Wear Regimes through the use of Broadband Acoustic Emission. Joint Oil Analysis Program, International Condition Monitoring Conference 2004, Pensacola Beach, Florida, USA, April 2004. MI Friswell, SD Garvey & U Prells, Structure Preserving Transformations and Isospectral Flows for Second Order Systems. 19th ASME Biennial Conference on Mechanical Vibration and Noise, Chicago, September 2003, paper DETC2003/VIB-48453. M Palmonella, MI Friswell, C Mares & JE Mottershead, Improving Spot Weld Models in Structural Dynamics. 23rd ASME Computers and Information in Engineering (CIE) Conference, Chicago, September 2003, paper DETC2003/CIE-48212. JT Sawicki, X Wu, GY Baaklini & MI Friswell, Dynamic Behavior of Cracked Flexible Rotor Subjected to Constant Driving Torque. Second International Symposium on Stability Control of Rotating Machinery, ISCORMA, 4-8 August 2003, Gdansk, Poland. H Ahmadian, H Jalali, JE Mottershead & MI Friswell, Dynamic Modeling of Spot Welds using Thin Layer Interface Theory. Tenth International Congress on Sound and Vibration, Stockholm, Sweden, 7ñ10 July, 2003. G Litak & MI Friswell, Nonlinear Vibration in Gear Systems. Investigations of Non-Linear Dynamic Effects in Production Systems, Chemnitz, Germany, 8-9 April 2003. K Worden, G Manson, TM Lord & MI Friswell, Some Thoughts on Uncertainty Quantification and Propagation. 21st International Modal Analysis Conference, Orlando, Florida, USA, 3-6 February 2003, paper #269. SD Garvey, Z Chen, MI Friswell & U Prells, Model Reduction using Structure Preserving Transformations. 21st International Modal Analysis Conference, Orlando, Florida, USA, 3-6 February 2003, paper #300. C Zang, MI Friswell & M Imregun, Structural Damage Assessment Using ICA and Neural Networks. 21st International Modal Analysis Conference, Orlando, Florida, USA, 3-6 February 2003, paper #81. J Fonseca, C Mares, MI Friswell & JE Mottershead, The Propagation of Parameter Uncertainty through Structural Dynamics Models. 21st International Modal Analysis Conference, Orlando, Florida, USA, 3-6 February 2003, paper #76. C Zang, MI Friswell & JE Mottershead, Robust Design in Structural Dynamics Applications. 21st International Modal Analysis Conference, Orlando, Florida, USA, 3-6 February 2003, paper #83. AW Lees, JK Sinha & MI Friswell, Multi Plane Balancing of a Rotating Machine using Run-Down Data. 21st International Modal Analysis Conference, Orlando, Florida, USA, 3-6 February 2003, paper #230. JK Sinha, MI Friswell, AW Lees & RK Sinha, An Alternate Method for the Reliable Modelling of Flexible Rotating Machines. Second International Conference on Vibration Engineering and Technology of Machinery (VETOMAC-II), Mumbai, India, December 2002. JK Sinha, MI Friswell, AW Lees & RK Sinha, Robust Method For Rotor Unbalance Estimation. Second International Conference on Vibration Engineering and Technology of Machinery (VETOMAC-II), Mumbai, India, December 2002. C Zang, AW Lees & MI Friswell, Multi Plane Balancing of a Rotating Machine using a Single Transducer. IFToMM, Sixth International Conference on Rotor Dynamics, Sydney, Australia, September 2002, 130-136. JET Penny & MI Friswell, Simplified modelling of rotor cracks. ISMA 27, Leuven, Belgium, September 2002, 607-615. SD Garvey, MI Friswell & U Prells, Deflating Second Order Systems. ISMA 27, Leuven, Belgium, September 2002, 579-588. M Link & MI Friswell, Generation of Validated Structural Dynamic Models - Results of a Benchmark Study Utilizing the GARTEUR SM-AG19 Testbed. ISMA 27, Leuven, Belgium, September 2002, 1005-1017. H Ahmadian, M Ebrahimi, JE Mottershead & MI Friswell, Identification of Bolted Joint Interface Models. ISMA 27, Leuven, Belgium, September 2002, 1741-1747. J Fonseca, C Mares, MI Friswell & J.E. Mottershead, Review of Parameter Uncertainty Propagation Methods in Structural Dynamic Analysis. ISMA 27, Leuven, Belgium, September 2002, 1853-1859. M Abdelghani & MI Friswell, Sensor Validation for Smart Structures under General Fault Conditions. ISMA 27, Leuven, Belgium, September 2002, 311-317. C Zang, MI Friswell & M Imregun, Structural Damage Identification Using The Combination of ICA and ANN Techniques. First European Workshop on Structural Health Monitoring, Paris, France, July 2002, 798-805. AW Lees, JK Sinha & MI Friswell, The Identification of the Unbalance of a Flexible Rotating Machine From a Single Run-Down. ASME Turbo Expo 2002, Netherlands, June 2002, paper GT-2002-30420. JE Mottershead & MI Friswell, Model Updating of Joints and Connections. International Conference on Structural Dynamics Modelling: Test, Analysis, Correlation and Validation, Madeira Island, Portugal, 3-5 June 2002. C Zang, MI Friswell & M Imregun, Decomposition of Time Domain Vibration Signals using the Independent Component Analysis Technique. 3rd International Conference on Identification in Engineering Systems, Swansea, April 2002, 434-445. H Ahmadian, A Najafi-Amin, JE Mottershead, S James & MI Friswell, Identification of Joint Interface Models. 3rd International Conference on Identification in Engineering Systems, Swansea, April 2002, 331-340. SD Garvey, MI Friswell & U Prells, Optimum Selective Excitation of Modes in General Linear Second-Order Systems. 3rd International Conference on Identification in Engineering Systems, Swansea, April 2002, 470-481. U Prells & MI Friswell, A Different View on Parameteric Model Updating. 3rd International Conference on Identification in Engineering Systems, Swansea, April 2002, 353-362. JK Sinha, AW Lees, MI Friswell & RK Sinha, The Estimation of Foundation Models of Flexible Machines. 3rd International Conference on Identification in Engineering Systems, Swansea, April 2002, 300-310. C Mares, JE Mottershead & MI Friswell, An Updated Model of the GARTEUR SM-AG19 Test Structure and its Validation. 3rd International Conference on Identification in Engineering Systems, Swansea, April 2002, 130-141. JET Penny & MI Friswell, Crack Modelling for Structural Health Monitoring. 3rd International Conference on Identification in Engineering Systems, Swansea, April 2002, 221-231. H Ahmadian, JE Mottershead & MI Friswell, Physical Realization of Updating Parameters. 20th International Modal Analysis Conference, Los Angeles, California, USA, February 2002, 206-209. C Mares, JE Mottershead, S James & MI Friswell, Vibration Tests using Fictitious Modifications. International Conference on Structural System Identification, September 5-7, 2001, Kassel, Germany, 617-625. U Prells, MI Friswell & SD Garvey, Compound Matrices and Pfaffins: A Representation of Geometric Algebra. Applied Geometrical Algebras in Computer Science and Engineering, Cambridge, July 2001. SD Garvey, MI Friswell & U Prells, The Role of Clifford Algebra in Structure-Preserving Transformations of Second Order Systems. Applied Geometrical Algebras in Computer Science and Engineering, Cambridge, July 2001. ED Price, TP Sperring, BJ Roylance, AW Lees & MI Friswell, Sensor Fusion for Condition Monitoring. Condition Monitoring 2001, Oxford, June 2001. SD Garvey, U Prells & MI Friswell, Diagonalising Coordinate Transformations for Systems with General Viscous Damping. 19th International Modal Analysis Conference, Orlando, Florida, USA, February 2001, 622-629. SD Garvey, U Prells & MI Friswell, Modal Correlation Measures for General Viscous-Damped Structures - a Clifford Algebraic Approach. 19th International Modal Analysis Conference, Orlando, Florida, USA, February 2001, 653-660. U Prells, MI Friswell & SD Garvey, Application of Geometric Algebra: Modified Classical Damping and Defective Systems. 19th International Modal Analysis Conference, Orlando, Florida, USA, February 2001, 665-671. MI Friswell & U Prells, A Measure of Non-proportional Damping. 19th International Modal Analysis Conference, Orlando, Florida, USA, February 2001, 672-677. AW Lees & MI Friswell, The Vibration Signature of Chordal Cracks in Asymmetric Rotors. 19th International Modal Analysis Conference, Orlando, Florida, USA, February 2001, 124-129. JK Sinha, AW Lees & MI Friswell, Estimating the Unbalance of a Rotating Machine from a Single Run-down. 19th International Modal Analysis Conference, Orlando, Florida, USA, February 2001, 109-115. M. Abdelghani & MI Friswell, A Parity Space Approach to Sensor Validation. 19th International Modal Analysis Conference, Orlando, Florida, USA, February 2001, 405-411. H Ahmadian, JE Mottershead & MI Friswell, A Systematic Approach for Physical Realization of Updated Models. ISMA 25, Leuven, Belgium, September 2000, 615-618. C Mares, JE Mottershead & MI Friswell, Selection and Updating of Parameters for the GARTEUR SM-AG19 Testbed. ISMA 25, Leuven, Belgium, September 2000, 635-640. MI Friswell & U Prells, Non-proportional Damping and Defective Systems. ISMA 25, Leuven, Belgium, September 2000, 309-315. MI Friswell, JET Penny & SD Garvey, Model Reduction for Structures with Damping and Gyroscopic Effects. ISMA 25, Leuven, Belgium, September 2000, 1151-1158. S Edwards, AW Lees & MI Friswell, Estimating Rotor Unbalance From a Single Run-Down. IMechE Conference on Vibrations in Rotating Machinery, Nottingham, September 2000, 323-333, paper number C576/011/2000. AW Lees, S Edwards & MI Friswell, The Estimation of Foundation Parameters and Unbalance. IMechE Conference on Vibrations in Rotating Machinery, Nottingham, September 2000, 31-41, paper number C576/010/2000. SD Garvey, MI Friswell & U Prells, Clifford Algebra, Cl2, in the Analysis of Passive Periodic Structures. Fourth International Conference on Modern Practice in Stress and Vibration Analysis, Nottingham, September 2000. BJ Roylance, TP Sperring, ED Price, AW Lees, MI Friswell, J Reintjes & P Howard, Sensor Fusion in the Early Wear Regime for Condition-Based Maintenance. International Symposium on Condition-Based Maintenance for Highly Engineered Systems, Pisa, Italy, September 2000. SD Garvey, MI Friswell & Y Vershinin, The Geometric Algebra, Cl2, in Identifying Second Order Systems. Seventh International Conference on Recent Advances in Structural Dynamics, Southampton, July 2000. JET Penny, SD Garvey & MI Friswell, Is Rotor Dynamics a Particular Case of Structural Dynamics? 18th International Modal Analysis Conference, San Antonio, Texas, USA, February 2000, 284-290. B Horton, H Gurgenci, M Veidt & MI Friswell, Finite Element Model Updating of a Welded Space Frame. 18th International Modal Analysis Conference, San Antonio, Texas, USA, February 2000, 529-535. SD Garvey, WT Norris & MI Friswell, A Modal Approach to the Electromagnetic Dynamics of Drive-Cable-Motor Systems. 18th International Modal Analysis Conference, San Antonio, Texas, USA, February 2000, 468-475. JE Mottershead, C Mares & MI Friswell, Assignment of Vibration Nodes. 18th International Modal Analysis Conference, San Antonio, Texas, USA, February 2000, 227-233. MI Friswell, JE Mottershead & T Shenton, Robust Model Updating. 18th International Modal Analysis Conference, San Antonio, Texas, USA, February 2000, 987-991. JE Mottershead, C Mares, MI Friswell & S James, Model Updating of an Aluminium Space-Frame using Different Parameters Sets. 18th International Modal Analysis Conference, San Antonio, Texas, USA, February 2000, 576-583. MI Friswell & DJ Inman, Sensor Validation for Smart Structures. 18th International Modal Analysis Conference, San Antonio, Texas, USA, February 2000, 483-489. B Horton, H Gurgenci, M Veidt & MI Friswell, Finite Element Model Updating of the Welded Joints in a Hollow Section H-Frame. International Conference on Applications of Modal Analysis, Gold Coast, Queensland, Australia, December 1999. MI Friswell & JE Mottershead, Finite Element Model Updating using Experimental Vibration Data: Parameterisation and Regularisation. CEAS/AIAA/ICASE/NASA Langley International Forum on Aeroelasticity and Structural Dynamics 1999, Williamsburg, Virginia, USA, June 1999, 821-830. AW Lees & MI Friswell, Determination of the State of Balance of a Flexible Rotor. International Conference on Condition Monitoring, Swansea, April 1999, 327-336. SD Garvey, MI Friswell and JET Penny, Identifying Equivalent Bulk Properties for Stator Cores of Large Electrical Machines. 2nd International Conference on Identification in Engineering Systems, Swansea, March 1999, 557-567. U Prells, MI Friswell & AW Lees, Model Updating of Systems with Unknown Forces. 2nd International Conference on Identification in Engineering Systems, Swansea, March 1999, 315-324. S Edwards, AW Lees & MI Friswell, On The Effects of Rotor/Stator Contact in Rotating Machinery. 2nd International Conference on Identification in Engineering Systems, Swansea, March 1999, 179-189. SD Garvey, UH Eke, JET Penny & MI Friswell, Mixed Formulation Representation of Sub-Systems. 17th International Modal Analysis Conference, Orlando, Florida, USA, February 1999, 1538-1544. JE Mottershead & MI Friswell, Frequency Response Function and Finite Element Equations with Rigid-Body Constraints, and their Application in Model Updating. 17th International Modal Analysis Conference, Orlando, Florida, USA, February 1999, 654-659. MI Friswell & DJ Inman, Finite Element Models with Viscoelastic Damping. 17th International Modal Analysis Conference, Orlando, Florida, USA, February 1999, 181-187. D Wang, MI Friswell, PE Nikravesh & EY Kuo, Damage Identification in Structural Joints using Generic Joint Elements. 17th International Modal Analysis Conference, Orlando, Florida, USA, February 1999, 792-798. S Edwards, AW Lees & MI Friswell, The Identification of Rotor Unbalance from Machine Run-Down Data. 17th International Modal Analysis Conference, Orlando, Florida, USA, February 1999, 1610-1615. B Horton, H Gurgenci, M Veidt & MI Friswell, Finite Element Model Updating of the Welded Joints in a Tubular H-Frame. 17th International Modal Analysis Conference, Orlando, Florida, USA, February 1999, 1556-1562. S Edwards, AW Lees & MI Friswell, The Identification of Shaft Bow and Unbalance from Bearing Vibration. IMechE Conference on Multibody Dynamics: New Techniques and Applications, London, December 1998, 117-128. SD Garvey, MI Friswell & JET Penny, Second Order Systems in Vibration Theory. ISMA 23, International Conference on Noise and Vibration Engineering, Leuven, September 1998, 393-400. MI Friswell, SD Garvey & JET Penny, Forward Identification Methods for Damage Location. Invited paper, ISMA 23, International Conference on Noise and Vibration Engineering, Leuven, September 1998, 127-134. MI Friswell & AW Lees, Resonance Frequencies of Damped Structures. ISMA 23, International Conference on Noise and Vibration Engineering, Leuven, September 1998, 243-249. MI Friswell, SD Garvey, JET Penny & MG Smart, Computing Critical Speeds for Rotating Machines with Speed-Dependent Bearing Properties. Fifth International Conference on Rotor Dynamics, IFToMM, Darmstadt, Germany, September 1998, 136-147. MJ Lam, DJ Inman & MI Friswell, Improved Models for Smart Structures with Viscoelastic Elements. 4th European Conference on Smart Structures and Materials, Harrogate, UK, July 1998, 659-666. MI Friswell & DJ Inman, Hybrid Damping Treatments in Thermal Environments. 4th European Conference on Smart Structures and Materials, Harrogate, UK, July 1998, 667-674. JE Mottershead & MI Friswell, Frequency Response Functions and Finite Element Equations with Constraints, and their Application in Model Updating. Modal Analysis and Testing, Sesimbra, Portugal, May 1998, 367-377. U Prells & MI Friswell, On Partial Derivatives of Repeated Eigenvalues and their Eigenvectors. 27th Israel Conference on Mechanical Engineering, Haifa, Israel, May 1998, 218-220. AW Lees, MI Friswell, MG Smart & U Prells, The Identification of Foundation Dynamics from Machine Run-Down Data. 7th International Symposium on Transport Phenomena and Dynamics of Rotating Machinery, Honolulu, Hawaii, USA, February 1998, 715-724. SD Garvey, MI Friswell & JET Penny, The Importance of Vector Subspaces in Modal Analysis. 16th International Modal Analysis Conference, Santa Barbara, California, USA, February 1998, 97-103. MI Friswell, JE Mottershead & MG Smart, The Dynamics of Golf Clubs using Generic Finite Elements. 16th International Modal Analysis Conference, Santa Barbara, California, USA, February 1998, 565-571. JE Mottershead, MI Friswell & H Ahmadian, Cross Validation and 'L' Curves for the Regularisation of Ill-Conditioned Equations in Model Updating. 16th International Modal Analysis Conference, Santa Barbara, California, USA, February 1998, 1333-1337. S Edwards, AW Lees & MI Friswell, The Identification of a Rotor Bend From Vibration Measurements. 16th International Modal Analysis Conference, Santa Barbara, California, USA, February 1998, 1543-1549. SD Garvey, JET Penny & MI Friswell, Efficient Component Mode Synthesis with Non-classically Damped (Sub-)Structures. 16th International Modal Analysis Conference, Santa Barbara, California, USA, February 1998, 1602-1608. SD Garvey, MI Friswell & JET Penny, Towards a New Method for Identifying Systems. IoP Conference on Modern Practice in Stress and Vibration Analysis, Dublin, Ireland, September 1997, 95-102. MI Friswell, AW Lees, MG Smart & U Prells, Identifying Noise Modes in Estimated Turbo-Generator Foundation Models. IoP Conference on Modern Practice in Stress and Vibration Analysis, Dublin, Ireland, September 1997, 57-64. AW Lees & MI Friswell, The Estimation of Rotor Unbalance from Shaft and Pedestal Vibration Measurements. IoP Conference on Modern Practice in Stress and Vibration Analysis, Dublin, Ireland, September 1997, 81-87. H Ouyang, JE Mottershead, MP Cartmell & MI Friswell, In-Plane Stick-Slip Vibration of a Flexible Disc Clamped Between Elastic Sliders. Sixteenth ASME Biennial Conference on Mechanical Vibration and Noise, Sacramento, California, USA, September 1997, paper VIB3906. MI Friswell, JE Mottershead & H Ahmadian, Combining Subset Selection and Parameter Constraints in Model Updating. Sixteenth ASME Biennial Conference on Mechanical Vibration and Noise, Sacramento, California, USA, September 1997, paper VIB4147. AW Lees & MI Friswell, The Estimation of Rotor Unbalance. Sixteenth ASME Biennial Conference on Mechanical Vibration and Noise Sacramento, California, USA, September 1997, paper VIB4039. MI Friswell and DJ Inman, Temperature Effects in PZT Based Control Design. Third ARO Workshop on Smart Structures, Blacksburg, Virginia, USA, August 1997. MI Friswell, SD Garvey & JET Penny, Parameter Subset Selection in Model Updating and Damage Location. 6th International Conference on Recent Advances in Structural Dynamics, Southampton, UK, July 1997, 383-397. U Prells, AW Lees, MI Friswell & MG Smart, Robust Subsystem Estimation using ARMA Modelling in the Frequency Domain. 6th International Conference on Recent Advances in Structural Dynamics, Southampton, UK, July 1997, 1027-1042. MG Smart, AW Lees, MI Friswell & U Prells, The Identification of Turbogenerator Foundation Models from Run-Down Data. 6th International Conference on Recent Advances in Structural Dynamics, Southampton, UK, July 1997, 1059-1071. H Ouyang, JE Mottershead, MP Cartmell & MI Friswell, Stick-Slip Motion of an Elastic Slider System on a Vibrating Disc. 6th International Conference on Recent Advances in Structural Dynamics, Southampton, UK, July 1997, 1359-1373. H Ahmadian, JE Mottershead & MI Friswell, Substructure Modes for Damage Detection. DAMAS 97, Structural Damage Assessment using Advanced Signal Processing Procedures, Sheffield, UK, June/July 1997, 257-268. MI Friswell & JET Penny, The Practical Limits of Damage Detection and Location using Vibration Data. 11th VPI&SU Symposium on Structural Dynamics and Control, Blacksburg, Virginia, USA, May 1997, 31-40. SD Garvey, MI Friswell & JET Penny, Modelling the vibrational Behaviour of Stator Cores of Electrical Machines with a View to Successfully Predicting Machine Noise. Vibrations et Bruit Acoustiques des Machines Electriques, Cachan, Paris, France, April 1997, 187-199. U Prells, AW Lees, MI Friswell & MG Smart, The Identification of the Influence of a Real Foundation on Machine Dynamics. SIRM '97, Kassel, Germany, March 1997. H Ahmadian, JE Mottershead & MI Friswell, Parameterisation and Identification of a Rubber Seal. 15th International Modal Analysis Conference, Orlando, Florida, USA, February 1997, 142-146. MI Friswell, MG Smart & JE Mottershead, Updating Finite Element Models of Golf Clubs. 15th International Modal Analysis Conference, Orlando, Florida, USA, February 1997, 155-161. MI Friswell, SD Garvey & JET Penny, Using Iterated IRS Model Reduction Techniques to Calculate Eigensolutions. 15th International Modal Analysis Conference, Orlando, Florida, USA, February 1997, 1537-1543. A W Lees & MI Friswell, The Evaluation of Rotor Unbalance in Flexibly Mounted Machines. 15th International Modal Analysis Conference, Orlando, Florida, USA, February 1997, 1495-1502. A Aannaque, SD Garvey, JET Penny & MI Friswell, Operation of Flexible Mechanisms at High Speed. ISMA21 Noise and Vibration Engineering, Leuven, Belgium, September 1996, 857-868. H Ahmadian, JE Mottershead & MI Friswell, Structural Damage Detection from Substructure Modes. ISMA21 Noise and Vibration Engineering, Leuven, Belgium, September 1996, 983-991. MG Smart, MI Friswell, AW Lees & U Prells, Errors in Estimating Turbo-generator Foundation Parameters, ISMA21 Noise and Vibration Engineering, Leuven, Belgium, September 1996, 1225-1235. SD Garvey, MI Friswell & JET Penny, Modelling the Vibrational Characteristics of Stator Cores of Large Electrical Machines. ISMA21 Noise and Vibration Engineering, Leuven, Belgium, September 1996, 1649-1660. MI Friswell, SD Garvey & JET Penny, The Optimum Choice of Parameters for Single and Multiple Measurement Sets. ISMA21 Noise and Vibration Engineering, Leuven, Belgium, September 1996, 1907-1919. MI Friswell, G Horwood, SM Hamblyn & MG Smart, The Validation and Updating of Dynamic Models of Golf Clubs. The Engineering of Sport Conference, Sheffield, UK, July 1996, 323-332. H Ahmadian, JE Mottershead & MI Friswell, Development of the Rectangular Plate Element using an Inverse Approach. 2nd International Conference on Structural Dynamics Modelling: Test, Analysis, Correlation and Updating, Cumbria, UK, July 1996, 281-292. MI Friswell, AW Lees & MG Smart, Model Updating Techniques Applied to Turbo-Generators Mounted on Flexible Foundations. 2nd International Conference on Structural Dynamics Modelling: Test, Analysis, Correlation and Updating, Cumbria, UK, July 1996, 461-472. MG Smart, MI Friswell & JE Mottershead, Error Localisation by Substructure Mode Shapes. International Conference on Identification in Engineering Systems, Swansea, March 1996, 305-317. MI Friswell, JET Penny & SD Garvey, A Combined Genetic and Eigensensitivity Algorithm for the Location of Damage in Structures. International Conference on Identification in Engineering Systems, Swansea, UK, March 1996, 357-367. AW Lees & MI Friswell, Estimation of Forces Exerted on Machine Foundations. International Conference on Identification in Engineering Systems, Swansea, UK, March 1996, 793-803. Y H Zhang, MI Friswell & JE Mottershead, The Effect of Discretisation Error on Updated Parameter Estimates. International Conference on Identification in Engineering Systems, Swansea, UK, March 1996, 898-905. MI Friswell, SD Garvey, JET Penny & A Chan, Selection of Control Topology for Decentralised Multi-Sensor Multi-Actuator Active Control. 14th International Modal Analysis Conference, Dearborn, USA, February 1996, 278-284. H Ahmadian, JE Mottershead & MI Friswell, Joint Modelling for Finite Element Model Updating. 14th International Modal Analysis Conference, Dearborn, USA, February 1996, 591-596. H Ouyang, JE Mottershead, MI Friswell & MP Cartmell, On the Prediction of Squeal in Automotive Brakes. 14th International Modal Analysis Conference, Dearborn, USA, February 1996, 1009-1016. SD Garvey, MI Friswell & JET Penny, Evaluation of a Method for Automatic Selection of Measurement Locations Based on Subspace Matching. 14th International Modal Analysis Conference, Dearborn, USA, February 1996, 1546-1552. H Ouyang, SN Chan, JE Mottershead, MI Friswell & MP Cartmell, Parametric Vibrations in Discs: Point-Wise and Distributed Loads, Including Rotating Friction. 15th Biennial ASME Conference on Mechanical Vibration and Noise, Boston, USA, September 1995, DE-Vol. 84-1, 1125-1133. MI Friswell, JE Mottershead & YH Zhang, The Treatment of Systematic Errors in Model Updating. 15th Biennial ASME Conference on Mechanical Vibration and Noise, Boston, USA, September 1995, DE-Vol. 84-3, 1103-1110. MI Friswell, JE Mottershead, GHT Ng & MG Smart, Parameterisation of Joints and Constraints for Finite Element Model Updating. 15th Biennial ASME Conference on Mechanical Vibration and Noise, Boston, USA, September 1995, DE-Vol. 84-3, 1163-1170. MI Friswell & JE Mottershead, Best Practice in Finite Element Model Updating. International Forum on Aeroelasticity and Structural Dynamics, Manchester, 26-28 June 1995, Paper Number 57. M Smart, MI Friswell & JE Mottershead, Comparison of Error Localisation Techniques for Model Updating. 10th VPI&SU Symposium on Structural Dynamics and Control, Virginia, May 1995, 391-402. MI Friswell, JET Penny & SD Garvey, The Choice of Master Coordinates in the Model Reduction of Structures with Local Nonlinearities. 10th VPI&SU Symposium on Structural Dynamics and Control, Virginia, May 1995, 415-426. MI Friswell & JE Mottershead, Finite Element Model Updating in Design Optimisation - Methods, Models and Parameters. EIS '95 Product Optimisation for Integrity - Computers: A Boon or a Burden, Sheffield, April 1995, 167-180. Y Benhafsi, JET Penny & MI Friswell, Identification of the Damping Parameters of Vibrating Systems with a Cubic Stiffness Nonlinearity. 13th International Modal Analysis Conference, Nashville, Tennessee, USA, February 1995, 623-629. JE Mottershead, MI Friswell & YH Zhang, On Discretisation Error Estimates for Finite Element Model Updating. 13th International Modal Analysis Conference, Nashville, Tennessee, USA, February 1995, 1289-1296. SD Garvey, MI Friswell & JET Penny, The Response of Electrical Machine Stators to Magnetic Forcing. 13th International Modal Analysis Conference, Nashville, Tennessee, USA, February 1995, 1563-1569. MI Friswell, JET Penny & G Lindfield, The Location of Damage from Vibration Data using Genetic Algorithms. 13th International Modal Analysis Conference, Nashville, Tennessee, USA, February 1995, 1640-1646. RW Beaven, LD Wilkes, MT Wright, SD Garvey & MI Friswell, The Application of Setpoint Gain Scheduling to Improve the Performance of High Speed Independent Drives. IEE Colloquium on Precision Motion Control in Robotics and Machine Drives, Savoy Place, London, 22 November 1994, IEE Colloquium Digest, 226(7), 1-5. MI Friswell, ND Newman & JET Penny, The Effect of Using Different Orthogonal Polynomials in the Rational Fraction Polynomial Method. 5th International Conference on Recent Advances in Structural Dynamics, Southampton, UK, July 1994, 573-582. SD Garvey, MI Friswell & JET Penny, Efficient Evaluation of Composite Structure Modes. 5th International Conference on Recent Advances in Structural Dynamics, Southampton, UK, July 1994, 869-878. MI Friswell, SD Garvey & JET Penny, Model Reduction using an Iterated IRS Technique. 5th International Conference on Recent Advances in Structural Dynamics, Southampton, UK, July 1994, 879-889. MI Friswell, JET Penny & SD Garvey, Using Linear Model Reduction to Compute the Receptance of Structures with Local Cubic Nonlinearities. 19th International Seminar on Modal Analysis, Leuven, Belgium, September 1994, 79-90. SD Garvey, JET Penny & MI Friswell, Assessing Cross-Orthogonality Between Measured and Computed Sets of Mode-Shapes. 19th International Seminar on Modal Analysis, Leuven, Belgium, September 1994, 165-176. JE Mottershead, MI Friswell, GHT Ng & JA Brandon, Experience in Mechanical Joint Model Updating. 19th International Seminar on Modal Analysis, Leuven, Belgium, September 1994, 481-495. YH Zhang, MI Friswell & JE Mottershead, A Comparison of Methods to Locate Damage in Structures. 19th International Seminar on Modal Analysis, Leuven, Belgium, September 1994, 683-695. MI Friswell, SD Garvey & JET Penny, Finite Element Model Updating of Rotor-Bearing Systems. Conference on Modern Practice in Stress and Vibration Analysis, Sheffield, UK, April 1993, 557-568, Sheffield Academic Press. ND Newman, MI Friswell & JET Penny, The Parallel Implementation of the Rational Fraction Polynomial Method. 11th International Modal Analysis Conference, Kissimmee, Florida, USA, February 1993, 318-324. JET Penny, DAL Wilson & MI Friswell, Damage Location in Structures using Vibration Data. 11th International Modal Analysis Conference, Kissimmee, Florida, USA, February 1993, 861-867. MI Friswell & JET Penny, A Comparison of Two Recursive Estimators for Stepped Sine Testing. 11th International Modal Analysis Conference, Kissimmee, Florida, USA, February 1993, 1014-1020. ND Newman, MI Friswell & JET Penny, Processing Experimental Vibration Data using Parallel Algorithms. International Conference on Parallel Computing and Transputer Applications (PACTA '92), Barcelona, Spain, September 1992, 835-844. MI Friswell & JET Penny, Recursive Identification in Stepped Sine Testing. 17th International Seminar on Modal Analysis and Structural Dynamics, Leuven, Belgium, September 1992, 241-255. MI Friswell, ND Newman & JET Penny, The Use of Parallel Processing in Modal Analysis. 17th International Seminar on Modal Analysis and Structural Dynamics, Leuven, Belgium, September 1992, 599-613. MI Friswell & JET Penny, The Use of Vibration Data and Model Updating to Detect Damage. Structural Integrity Assessment Conference, Manchester, March/April 1992, 225-235, Elsevier Applied Science. JET Penny, MI Friswell & SD Garvey, The Automatic Choice of Measurement Locations for Dynamic Tests. 10th International Modal Analysis Conference, San Diego, California, USA, February 1992, 30-36. MI Friswell & JET Penny, Assessing Model Quality in Parameter Updating Procedures. 10th International Modal Analysis Conference, San Diego, California, USA, February 1992, 188-194. MG Wood, MI Friswell & JET Penny, Exciting Large Structures using a Bolt-Gun. 10th International Modal Analysis Conference, San Diego, California, USA, February 1992, 233-238. MI Friswell & JET Penny, A Simple Nonlinear Model of a Cracked Beam. 10th International Modal Analysis Conference, San Diego, California, USA, February 1992, 516-521. MG Wood, M Bailey, MI Friswell, JET Penny & JA Purkiss, Damage Location in Reinforced Concrete Beams Using Vibration Responses. 9th International Modal Analysis Conference, Florence, Italy, April 1991, 139-144. MI Friswell & JET Penny, Stepped MultiSine Modal Testing in Practice. 9th International Modal Analysis Conference, Florence, Italy, April 1991, 200-205. JET Penny & MI Friswell, Teaching FEA using MSC/Pal on a Macintosh Computer. 6th World Congress on Finite Element Methods, Banff, Canada, October 1990. Y Benhafsi, JET Penny & MI Friswell, A Parametric Identification Method for Discrete Nonlinear Systems Incorporating Cubic Stiffness Elements. 15th International Seminar on Modal Analysis and Structural Dynamics, Leuven, Belgium, September 1990, 1175-1191. MI Friswell, N Nalitolela & JET Penny, Updating the Parameters of a Finite Element Model. 15th International Seminar on Modal Analysis and Structural Dynamics, Leuven, Belgium, September 1990, 173-188. N Nalitolela, JET Penny & MI Friswell, Updating Dynamic Model Parameters by Adding Mass or Stiffness to the System. 8th International Modal Analysis Conference, Kissimmee, Florida, USA, January 1990, 836-842. MI Friswell & JET Penny, Updating Model Parameters Directly from Frequency Response Function Data. 8th International Modal Analysis Conference, Kissimmee, Florida, USA, January 1990, 843-849. Y Benhafsi, JET Penny & MI Friswell, A Method of System Identification for Nonlinear Vibrating Structures. 8th International Modal Analysis Conference, Kissimmee, Florida, USA, January 1990, 1284-1290. MI Friswell, Updating Physical Parameters from Frequency Response Function Data. 12th Biennial ASME Conference on Mechanical Vibration and Noise, Montreal, Canada, September 1989, DE-Vol 18-4, 393-400. P Rajendran, N Jamia, S El-Borgi & MI Friswell, Identification of Mistuned Blades using Wavelet Transform. Second International Computational Science and Engineering Conference (ICSEC17), 23-24 October 2017, Doha, Qatar. A Kumar, SF Ali, MI Friswell & A Arockiarajan, Creation and Stabilization of Limit Cycles in Chaotic Attractors through Closure of Orbits. 5th International Conference on Complex Dynamical Systems and Applications, 4-6 December 2017, IIT Guwahati, India. H Madinei, H Haddad Khodaparast, S Adhikari & MI Friswell, Tuning the Resonance Frequency of a Piezoelectric Vibration Based Energy Harvester Using an Electromagnetic Force. COMPDYN 2017, Rhodes Island, Greece, 15-17 June 2017. M Tajik, H Haddad Khodaparast, H Ahmadian & MI Friswell, Stochastic Nonlinear Model Updating: Method and Application. 22nd International Conference on Uncertainty Quantification in Computational Sciences and Engineering, UNCECOMP 2017, 15-17 June 2017. E García-Macías, R Castro-Triguero, S Adhikari, MI Friswell & A Sáez-Pérez, Two Metamodeling Techniques for Optimization of Carbon Nanotube Reinforced Composite Shells. 2nd International Conference on Mechanics of Composites (MECHCOMP 2016), Porto, Portugal, 11-14 July 2016. AD Shaw, T Hill, SA Neild & MI Friswell, Towards Experimental Reproduction of Backbone Curves of Continuous Structures using Single Point Forced Excitation. ECCOMAS Congress 2016, Crete, Greece, 5-10 June 2016. AD Shaw, I Dayyani & MI Friswell, Optimisation of Morphing Skins for Buckling Loads. Mechanics of Composites (MECHCOMP 2014), Stony Brook University, Long Island, USA, 8-12 June 2014. BKS Woods & MI Friswell, Negative Stiffness Spring System for Morphing Aircraft Actuation Energy Balancing, Symposium on the Design, Modelling and Experiments of Advanced Structures and Systems, DeMEASS, 25-28 May 2014, Ede, Netherlands. CS Beaverstock, BKS Woods, JHS Fincham, MI Friswell, R de Breuker & NPM Werter, Comparison Span-wise and Camber Morphing for Performance and Efficiency, Symposium on the Design, Modelling and Experiments of Advanced Structures and Systems, DeMEASS, 25-28 May 2014, Ede, Netherlands. NPM Werter, R de Breuker, MI Friswell & CS Beaverstock, A Generic Aeroelastic Morphing Wing Analysis Framework, Symposium on the Design, Modelling and Experiments of Advanced Structures and Systems, DeMEASS, 25-28 May 2014, Ede, Netherlands. MI Friswell, Morphing Aircraft and Multi-Scale Modelling, IMechE Seminar on Smart Technologies: Clever Thinking for Structures and Materials, 16 September 2010, Bristol. MI Friswell, Active Winglets, Bi-stable Structures, and Compliant Mechanisms. ESF Advanced Course on Morphing Aircraft: Materials, Mechanisms and Systems, 17-20 November 2008, IST, Lisbon, Portugal. MI Friswell, Morphing Aircraft Systems. Aerospace 2030 - The Role of Smart Materials and Technologies, 27 November 2007, Oxford. MI Friswell, Condition Monitoring of Structures and Machines. Applied Nonlinear Mathematics: Making it Real, 10-14 September 2007, Bristol. DJ Rodrigues, AR Champneys, RE Wilson & MI Friswell, Automatic Two-Plane Balancing for Rigid Rotors. SIAM Conference on Applications of Dynamical Systems (DS07), 28 May - 1 June 2007, Snowbird, Utah. JE Herencia, PM Weaver, CG Diaconu & MI Friswell, Optimisation Technique for Long and Thin Anisotropic Laminated Fibre Composite Plates. Second Conference on Simulation and Multidisciplinary Design Optimization, Belfort, France, 23-24 May 2006. MI Friswell, An Overview of Issues in Inverse Methods with Emphasis on Ill-conditioning and Regularisation. Bridging the Gap between Theory and Experiment: a One-day Seminar on Hybrid and Inverse Methods in Experimental Mechanics, organised by the Stress and Vibration Group of the Institute of Physics, Brunel University, 2 May 2007. MI Friswell & DJ Inman, Morphing Aircraft. South West branch meeting of the Institute of Physics, Bristol, 4 April 2006. AR Champneys, K Green, MI Friswell & NAJ Lieven, Bifurcation and Sensitivity Analysis of an Automatic Balance Mechanism for Eccentric Rotors. Recent Advances in Nonlinear Mechanics, Aberdeen, UK, 30 August-1 September 2005. MI Friswell & JE Mottershead, Model Updating in Structural Dynamics: Parameterization and Regularization. Bridging the Gap between Theory and Experiment: a One-day Seminar on Hybrid and Inverse Methods in Experimental Mechanics, organised by the Stress and Vibration Group of the Institute of Physics, Rolls-Royce, Derby, 27 April 2005. MI Friswell, Defective Systems and Uncertainty Quantification. Workshop on Pseudospectra and Structural Dynamics, Bristol, 13-15 December 2004. MI Friswell, Quantification of Uncertainty Using Inverse Methods. Uncertainty in Structural Dynamics, ISVR, Southampton, 17 July 2003. MI Friswell & JE Mottershead, Improved Modelling and Physical Understanding of Structures using Measured Data and Model Updating. EIS Seminar on The Integration of CAE and Measurements for NVH Refinement, Coventry, 1 November 2001. U Prells & MI Friswell, On Sensitivities of Repeated and Non-repeated Eigenvalues. EuroMech 401, Inverse Methods in Structural Dynamics, Liverpool, September 1999. SD Garvey, MI Friswell & Y Vershinin, The Geometric Algebra, Cl2, in Identifying Second Order Systems. EuroMech 401, Inverse Methods in Structural Dynamics, Liverpool, September 1999. C Mares, JE Mottershead, MI Friswell & S James, Selection and Updating of Parameters for an Aluminium Space-Frame Model. EuroMech 401, Inverse Methods in Structural Dynamics, Liverpool, September 1999. H Ahmadian, JE Mottershead & MI Friswell, Boundary Condition Identification by Solving Characteristic Equations. EuroMech 401, Inverse Methods in Structural Dynamics, Liverpool, September 1999. SD Garvey, JET Penny & MI Friswell, Structural Modelling of Large Machine Stators at Acoustic Frequencies. International Seminar on Vibrations and Acoustic Noise of Electric Machinery, Bethune, France, May 1998. MI Friswell, Vibration Control of Smart Structures (invited). Institute of Physics Congress, Smart Materials and Structures, Brighton, UK, 19 March 1998. JE Mottershead, MI Friswell, MG Smart & GHT Ng, Finite Element Model Updating of Joints and Boundary Conditions. International Congress on Industrial and Applied Mathematics, Hamburg, Germany, Session M175: Inverse Problems in Structural Dynamics, 3-7 July 1995. JE Mottershead, MI Friswell and YH Zhang, On the Application of Model Updating by the Sensitivity Method: Finite Element Discretisation Effects. International Congress on Industrial and Applied Mathematics, Hamburg, Germany, Session M175: Inverse Problems in Structural Dynamics, 3-7 July 1995. GHT Ng, JE Mottershead & MI Friswell, Model Reduction and its Effect on Sensitivity Computations in Updating. Workshop on Identification and Diagnosis of Mechanical Structures, Besancon, France, 17-19 November 1993. SD Garvey, JET Penny, E Krzak & MI Friswell, Computing Critical Speeds. Seminar on the Dynamic Analysis of Rotating Machines, The Institute of Physics (Stress Analysis Group), 1 July 1993. MI Friswell, Finite Element Model Updating in Design Optimisation (invited). Seminar on the Effective Validation of Numerical Results for Stress and Vibration Analysis, The Institute of Physics (Stress Analysis Group), 23 October 1991.